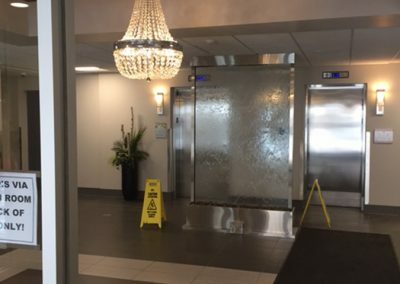 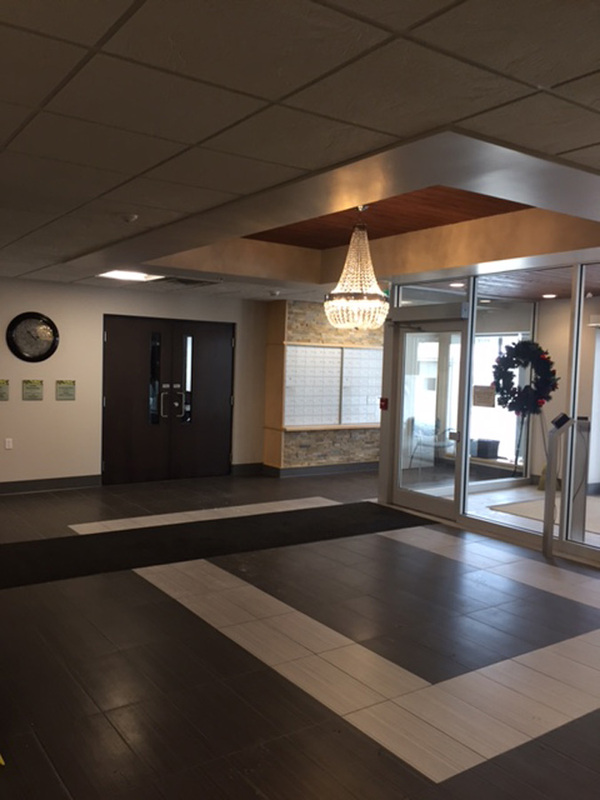 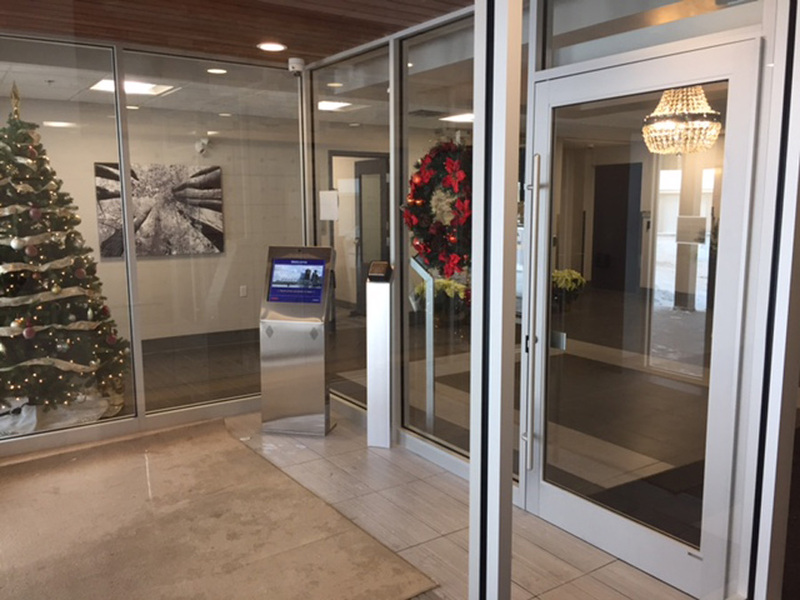 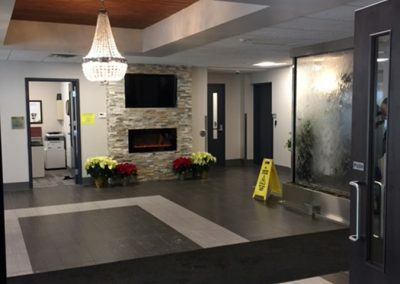 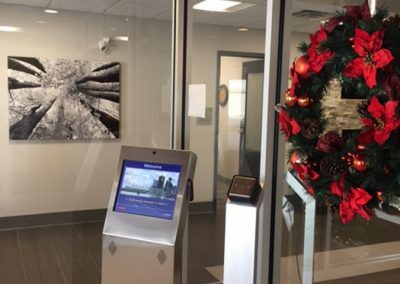 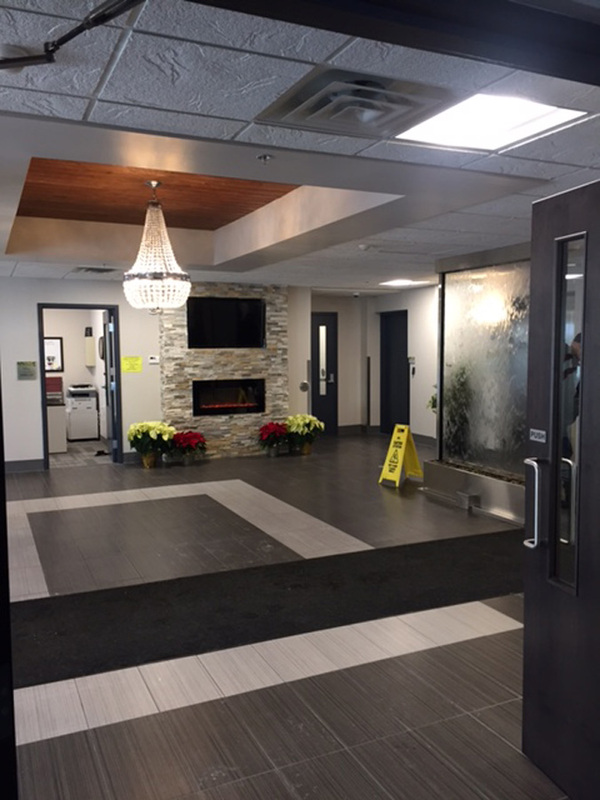 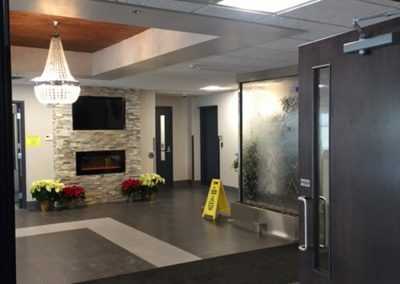 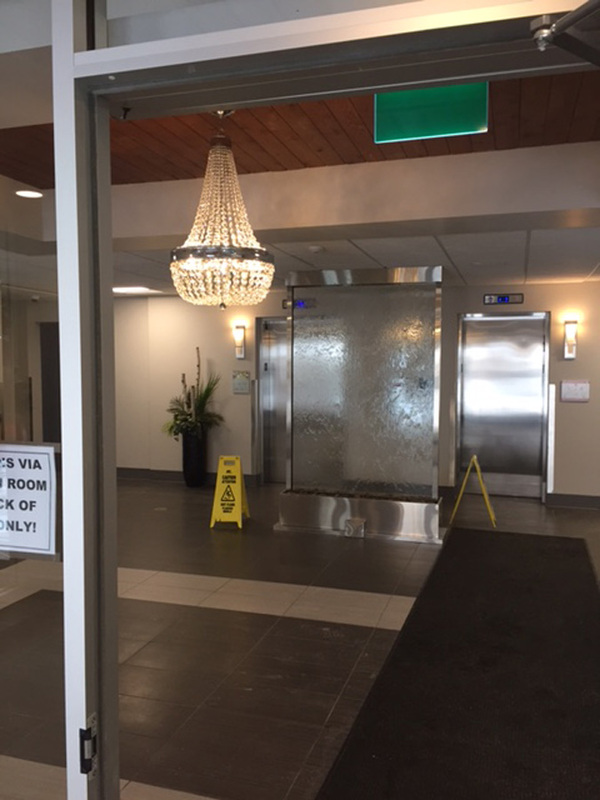 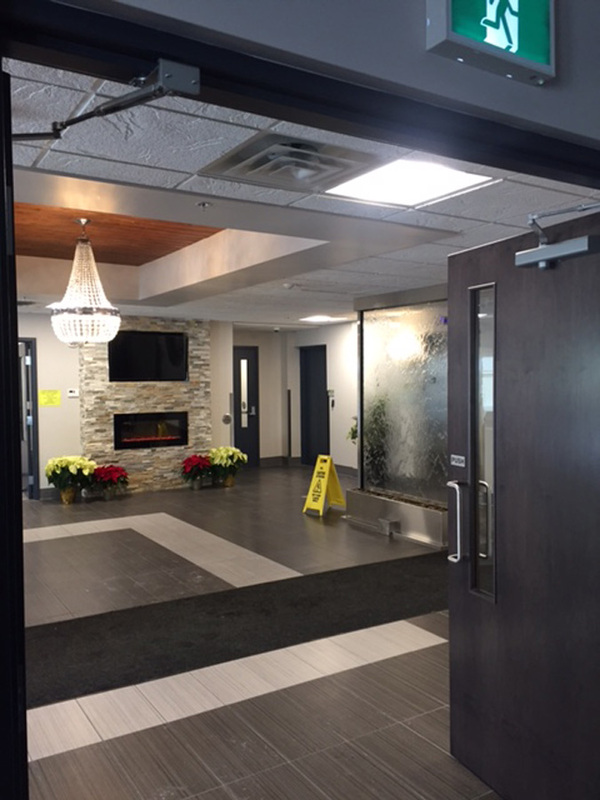 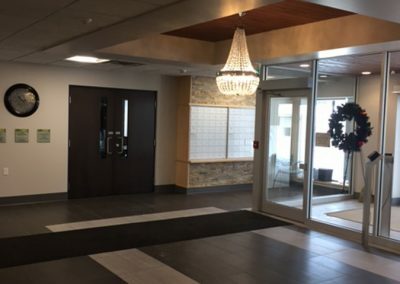 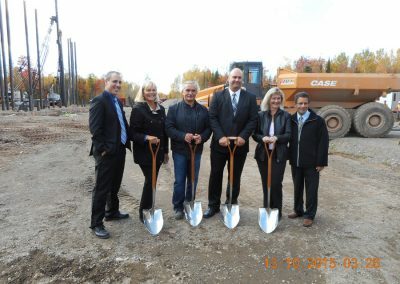 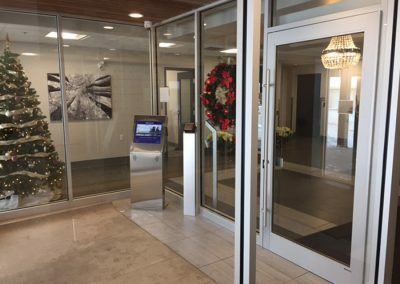 Finnish Rest Home is a state-of-the-art senior living complex, overlooking a heavily wooded nature park nearby and virtually all of Sault Ste. 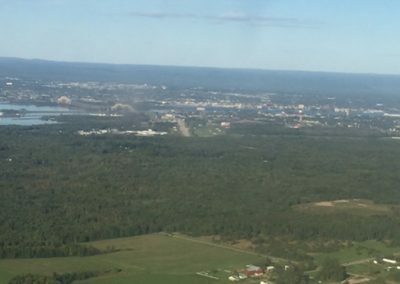 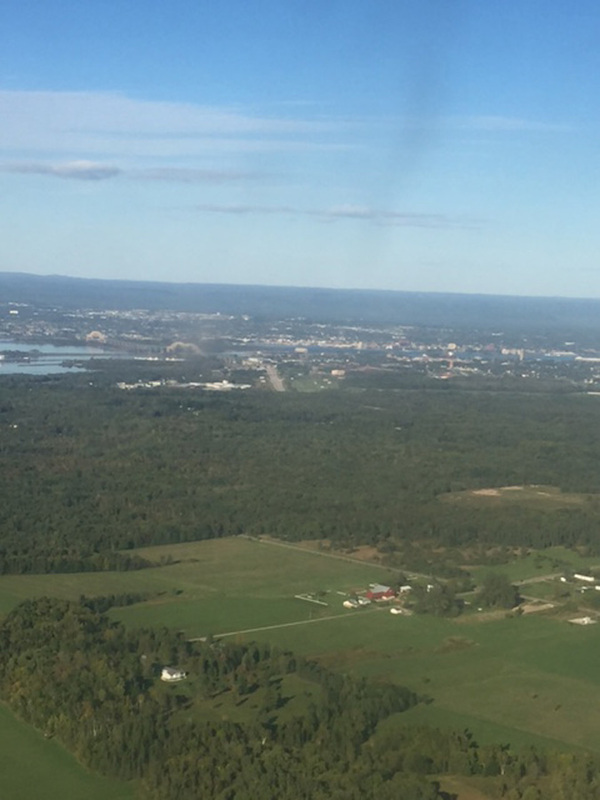 Marie, Ontario—just across the river from the northern tip of Michigan’s Upper Peninsula. 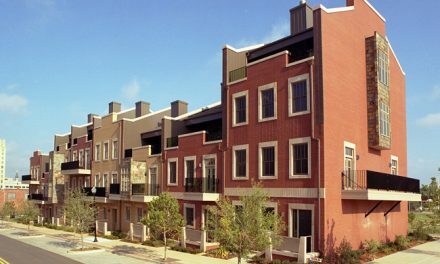 At nine stories tall, it is one of the tallest buildings in the city. 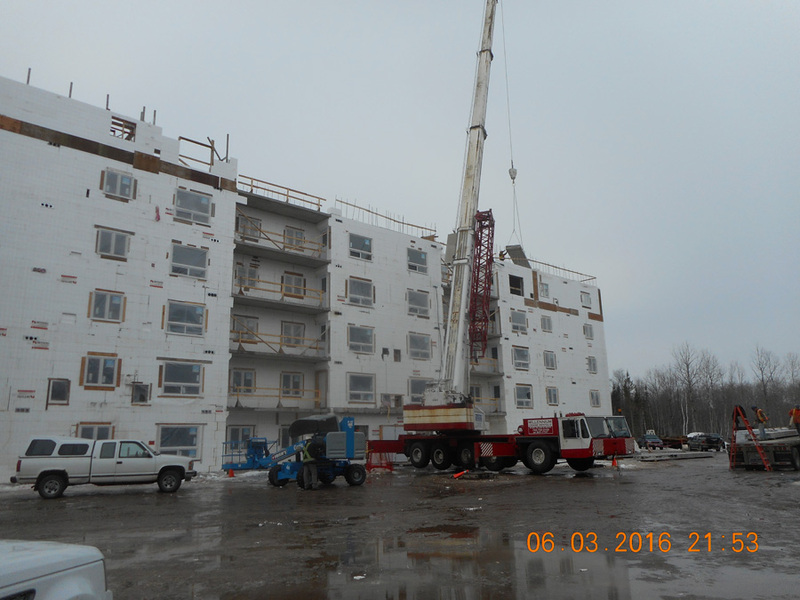 Formally called Uusi Koti (Finnish for “new home”), the development is “the project that almost wasn’t.” Fortunately, an innovative general contractor and ICF technology helped make the dream a reality. The building is one of four owned by the Ontario Finnish Resthome Association (OFRA). 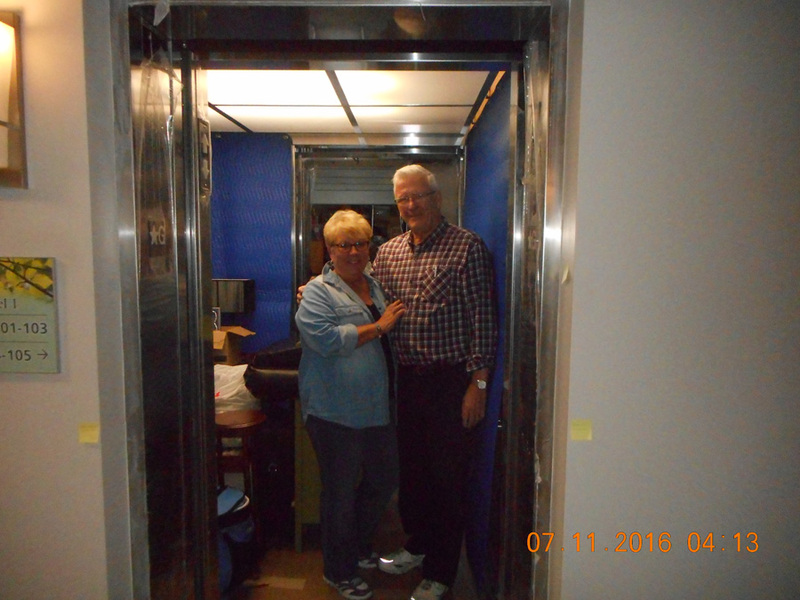 They’re a non-profit charitable organization founded in 1971. 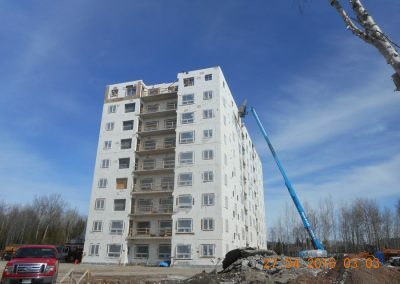 Knowing immigrants often revert back to their native tongue as they age, the founders wanted to be able to provide their relatives a home-like setting rich in Finnish culture and traditions. 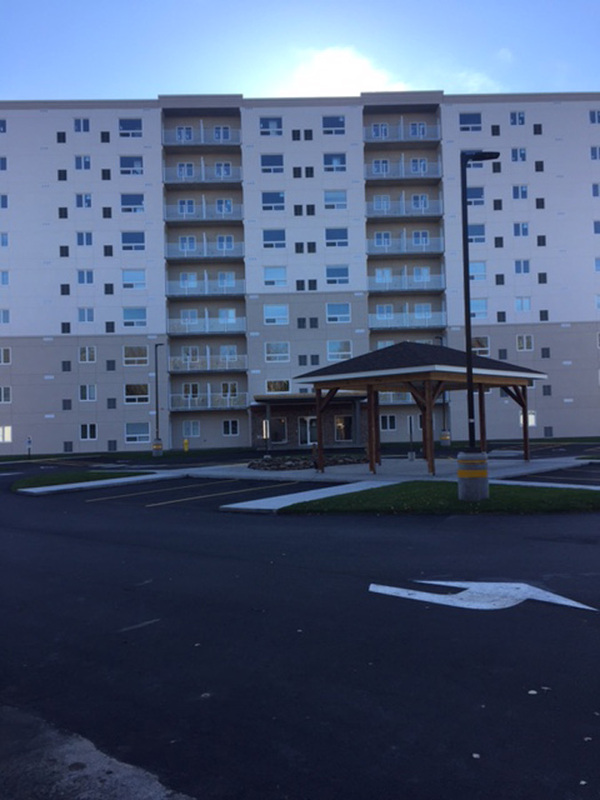 Today, OFRA offers safe and affordable homes to all seniors regardless of race, nationality or place of origin. 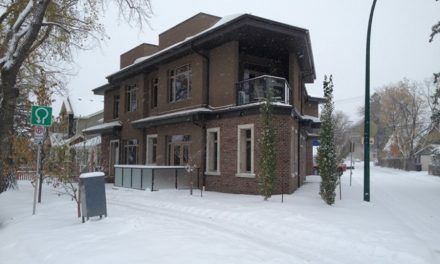 The original plan was for a five-story building with a 20,000-sq.-ft. footprint. 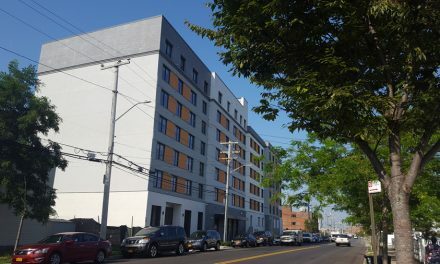 SalDan went to work with the design team and reconfigured the same 85 apartments into a nine-story building with a 10,000-sq.-ft footprint, reducing the cost by approximately $3 million. 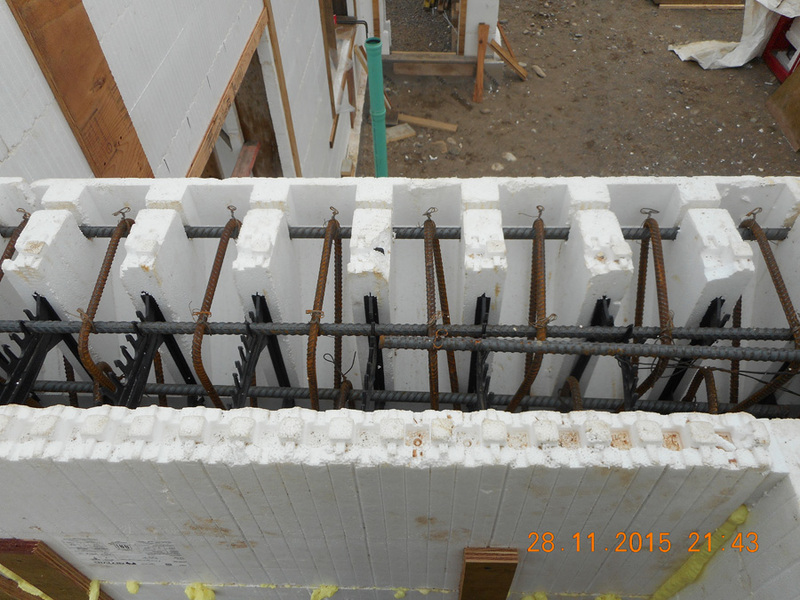 While SalDan has significant experience with both wood-frame and ICF, ICF walls were an essential part of the new plan. 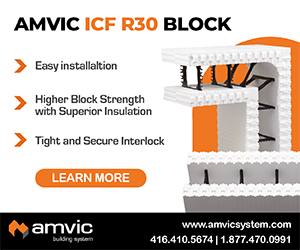 Biasucci says, “ICF construction was a key savings for us.” Amvic was used as the basis of design. It would be the first ICF high-rise in the region. 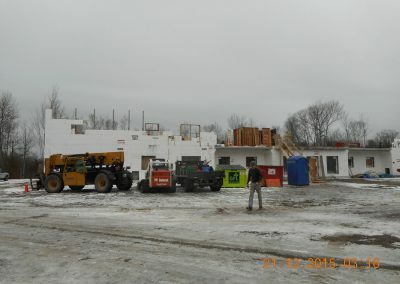 The owners were impressed and SalDan got the go-ahead to begin construction in the fall of 2015. 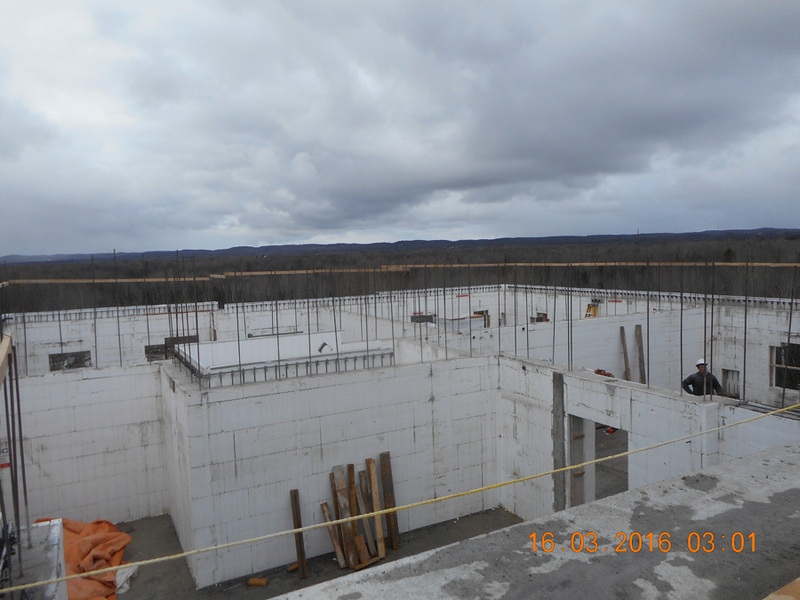 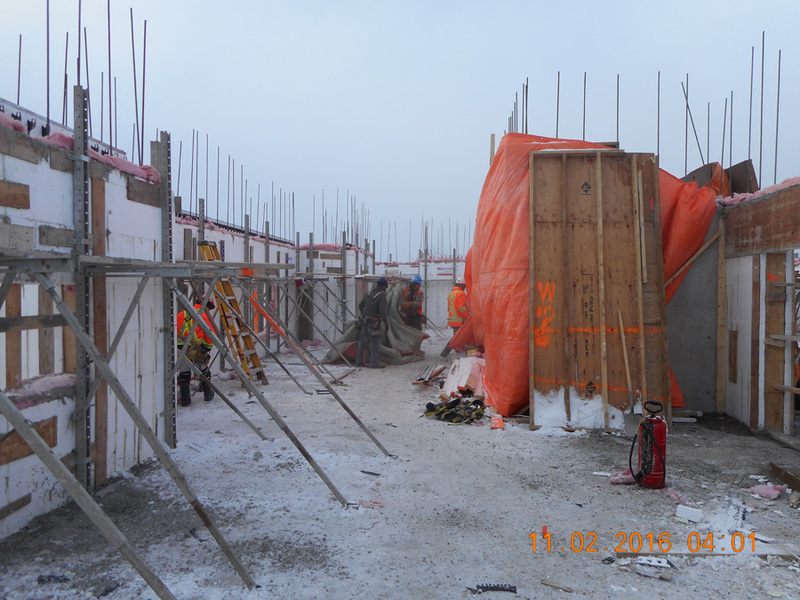 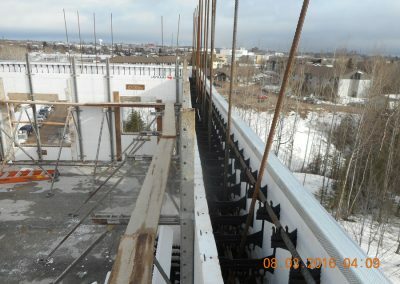 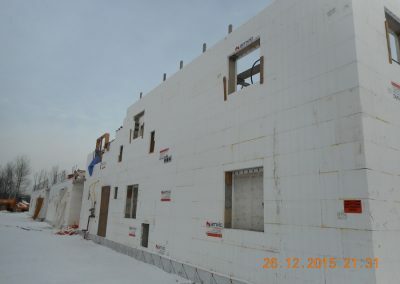 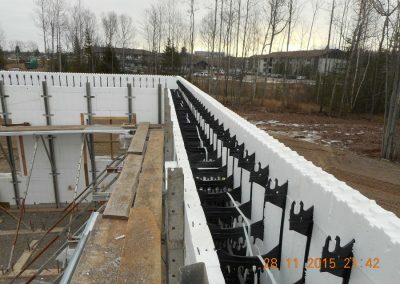 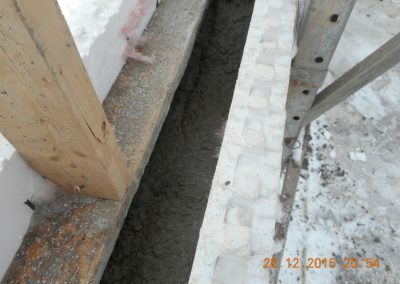 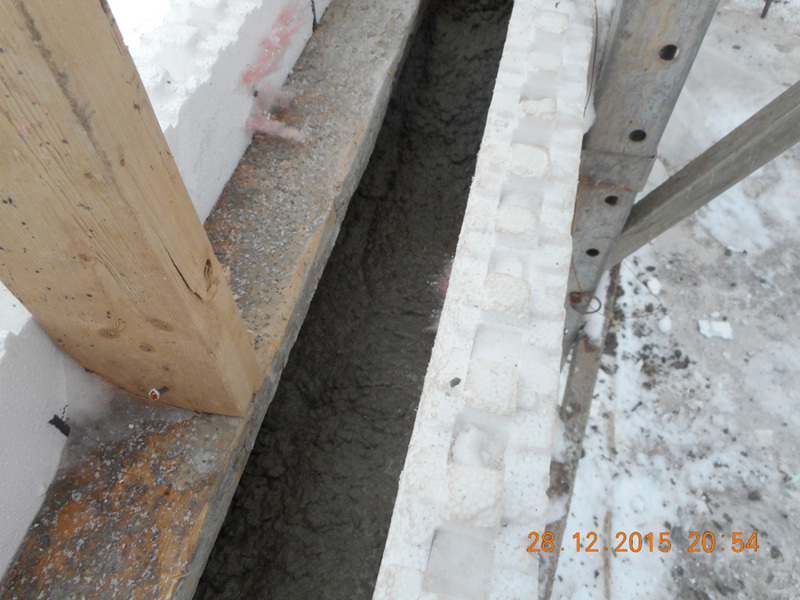 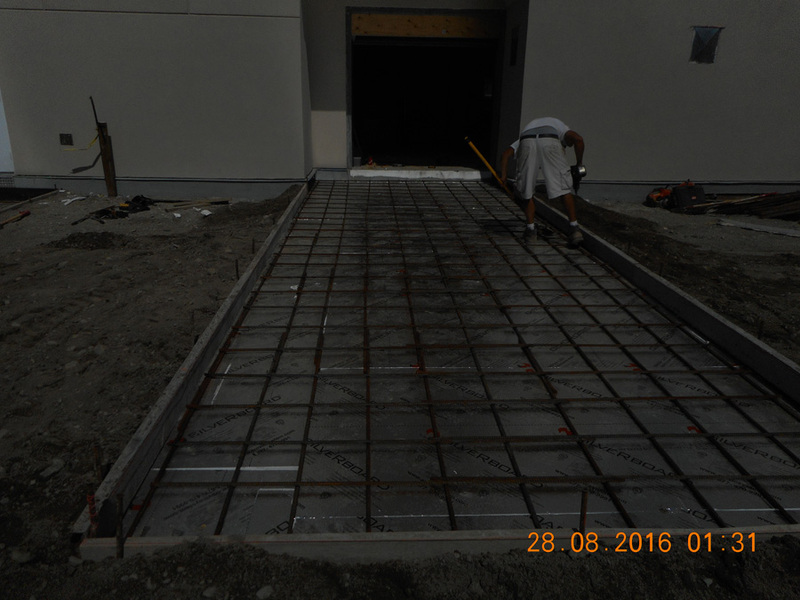 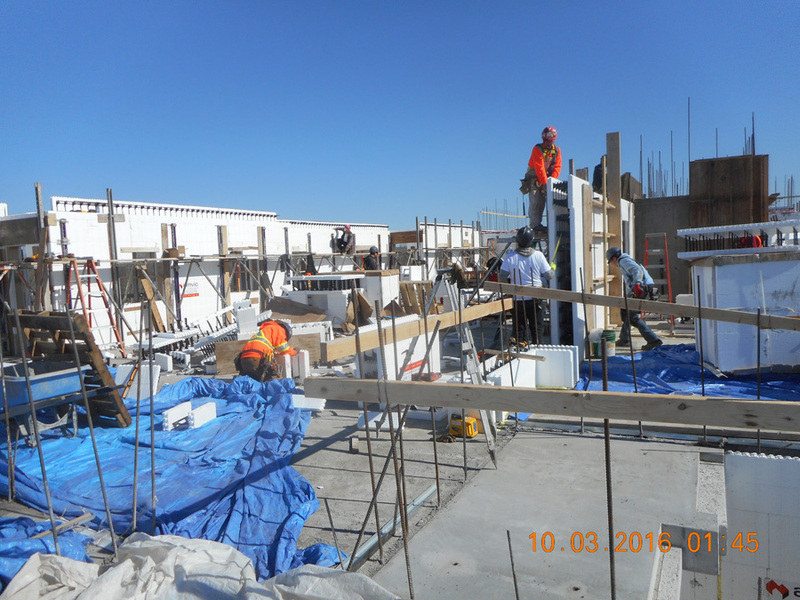 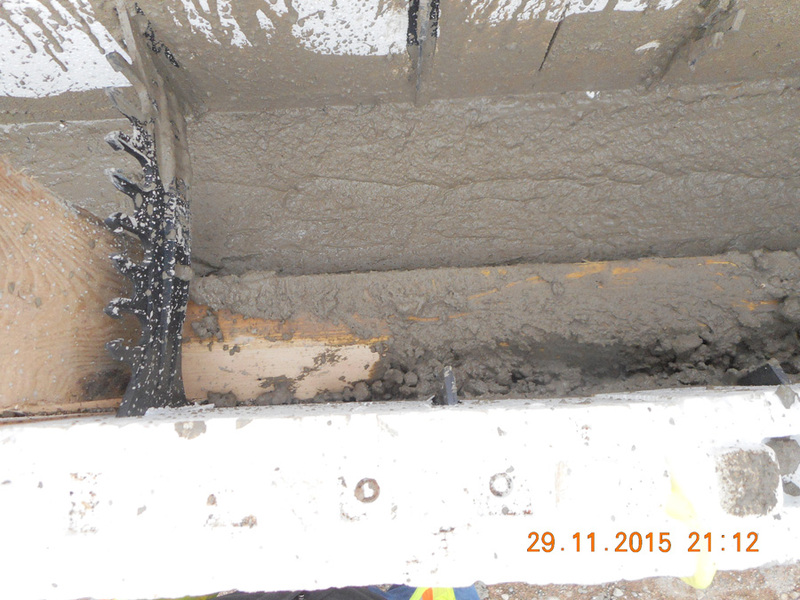 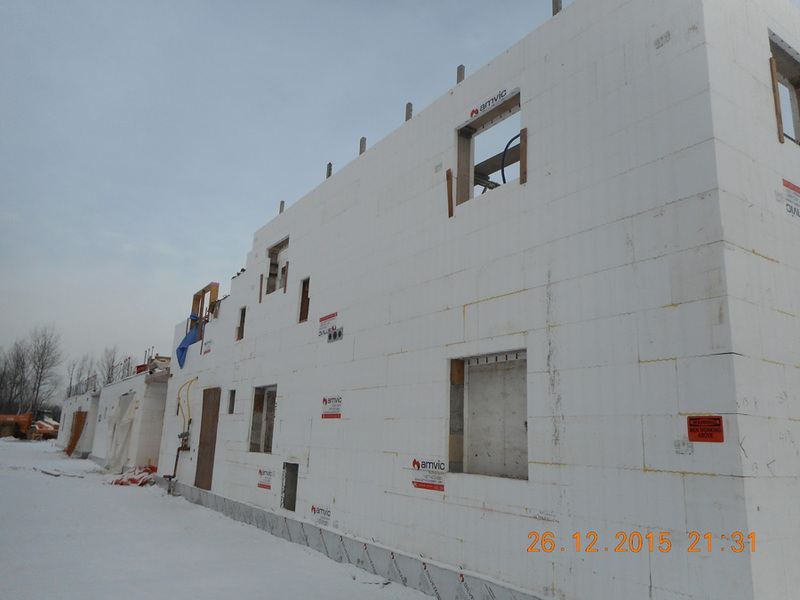 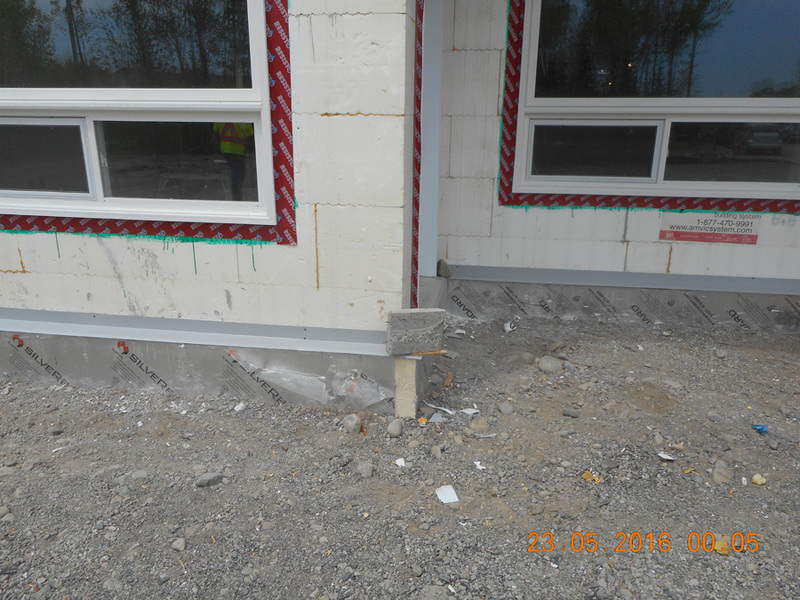 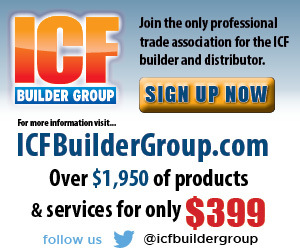 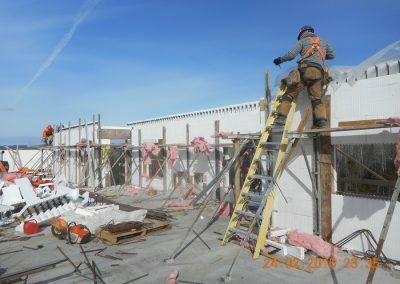 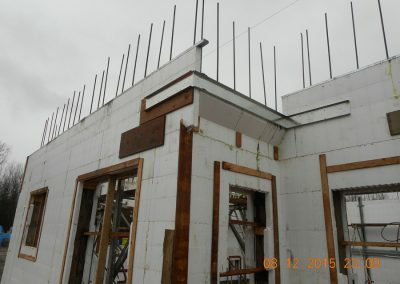 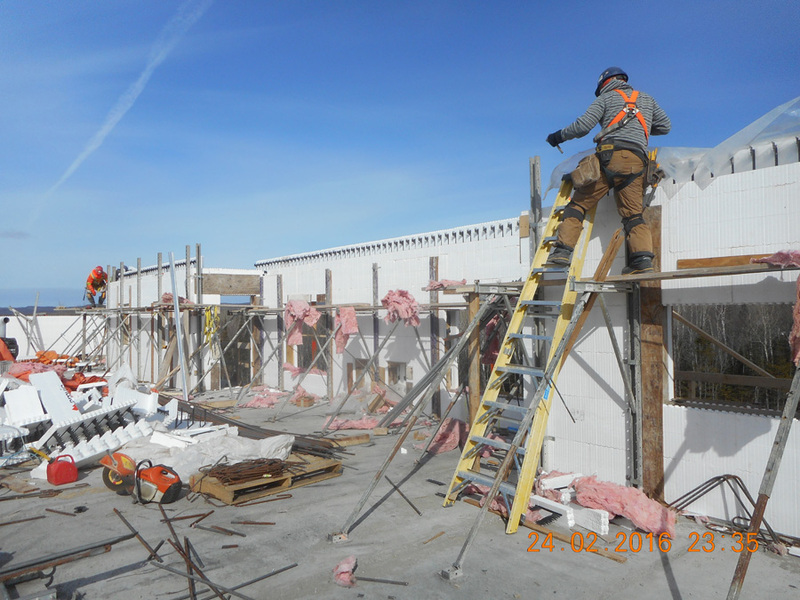 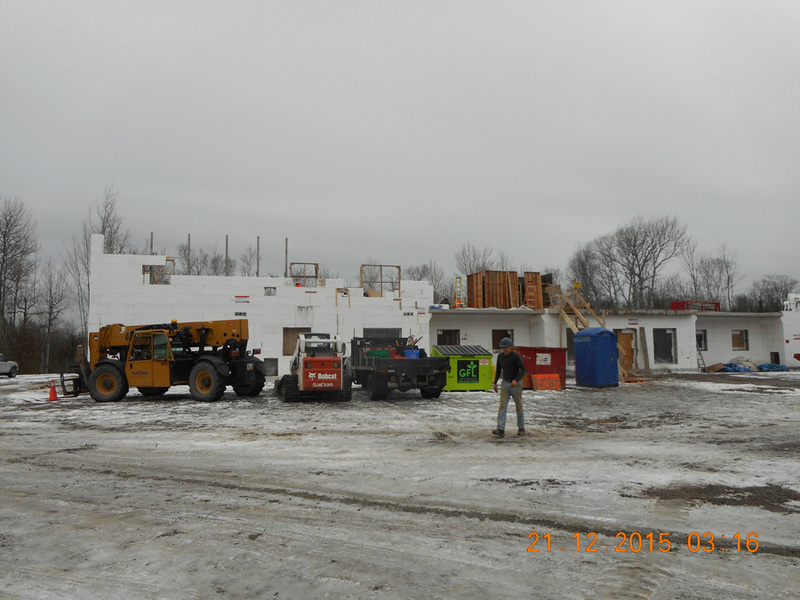 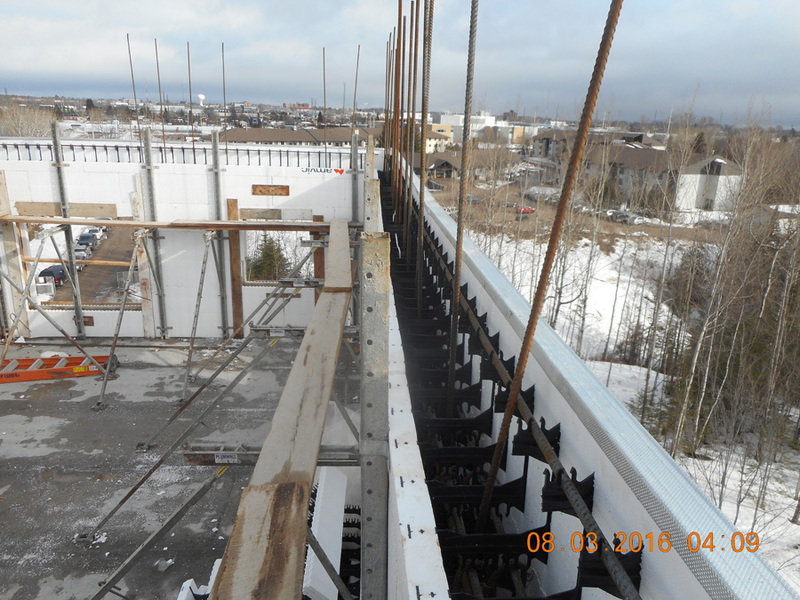 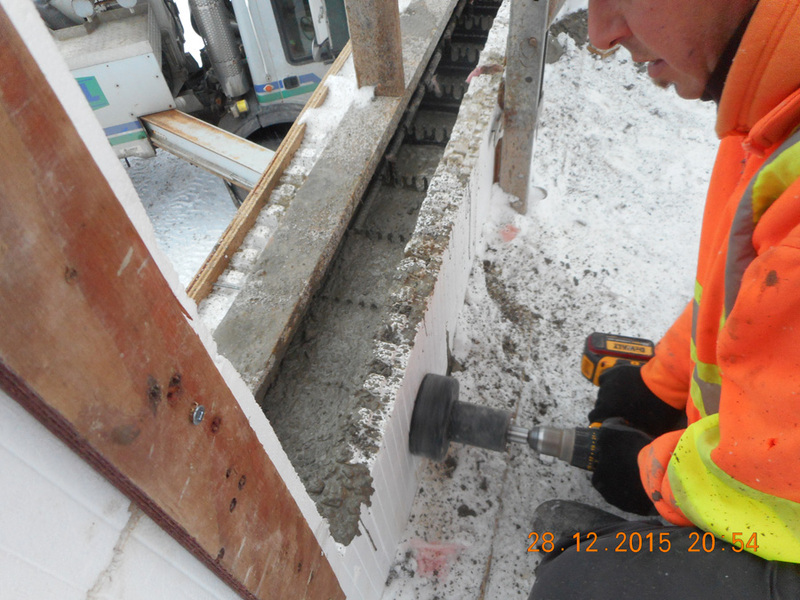 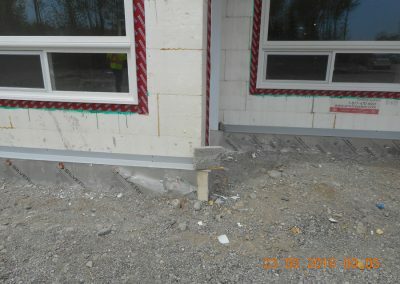 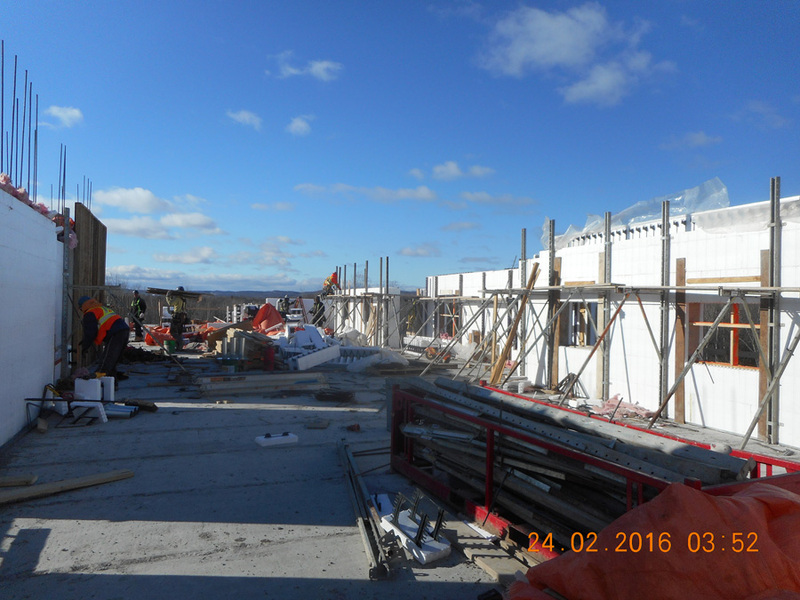 In addition to serving as GC, they self-performed the ICF installation. At this point, the challenge for SalDan was meeting their own aggressive schedule and budget. 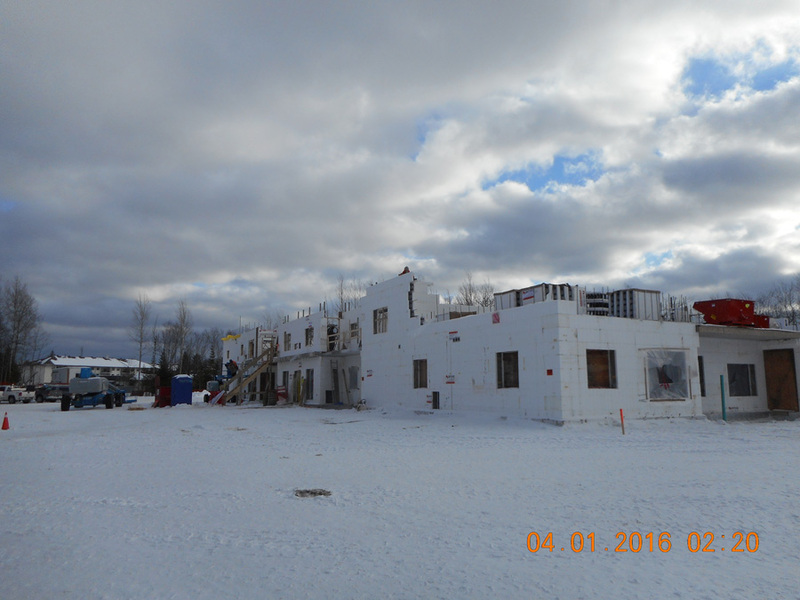 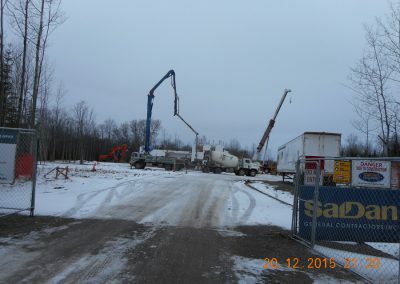 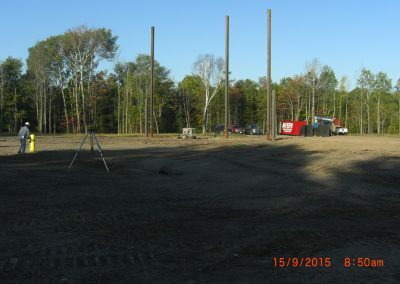 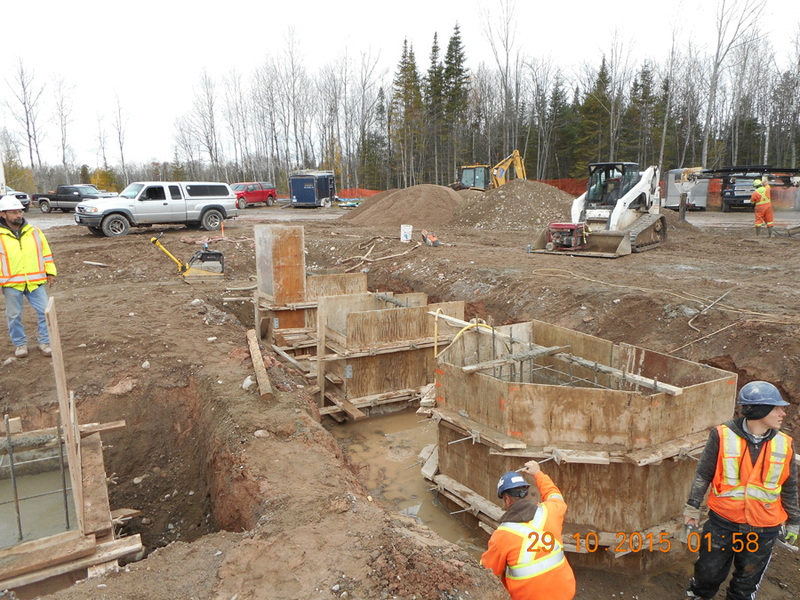 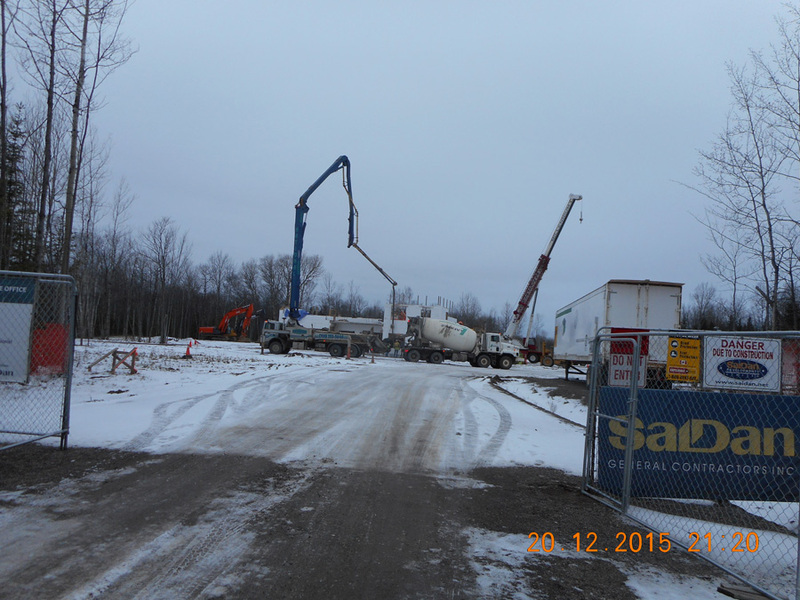 They broke ground in mid-October, and winter arrived just as the ICF work began in earnest. 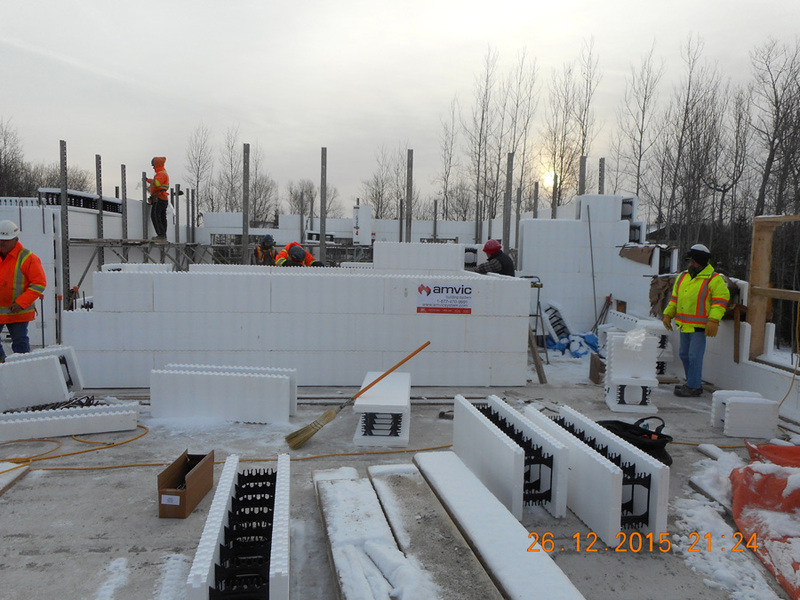 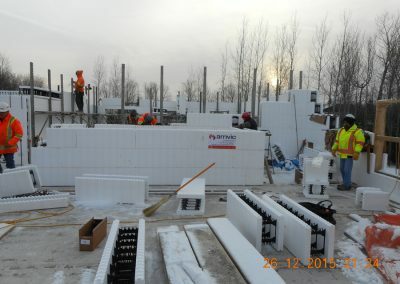 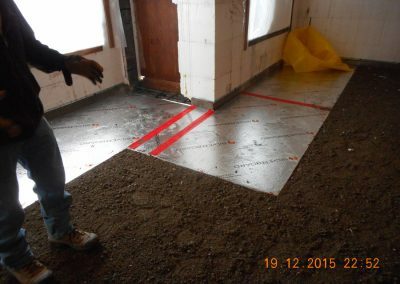 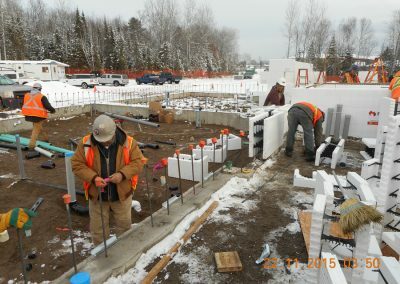 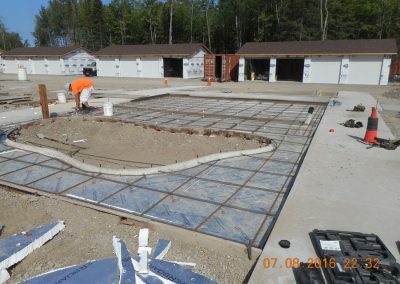 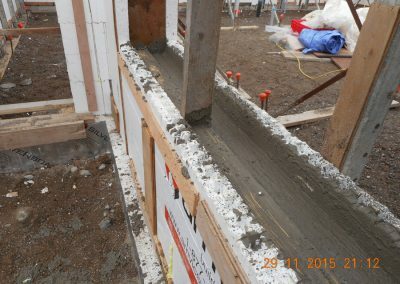 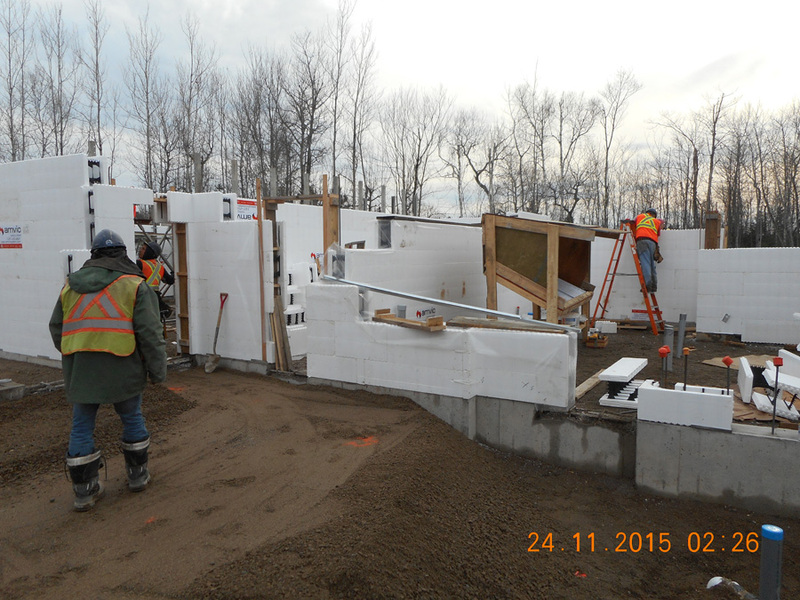 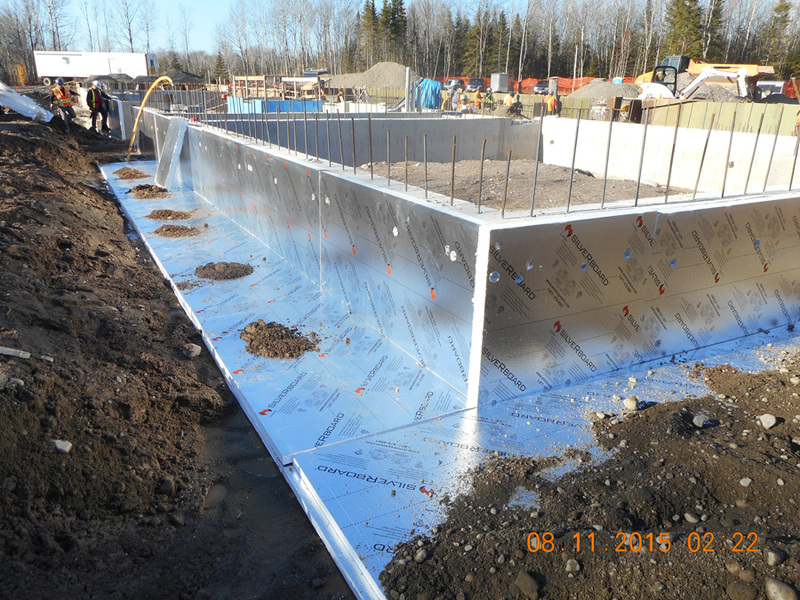 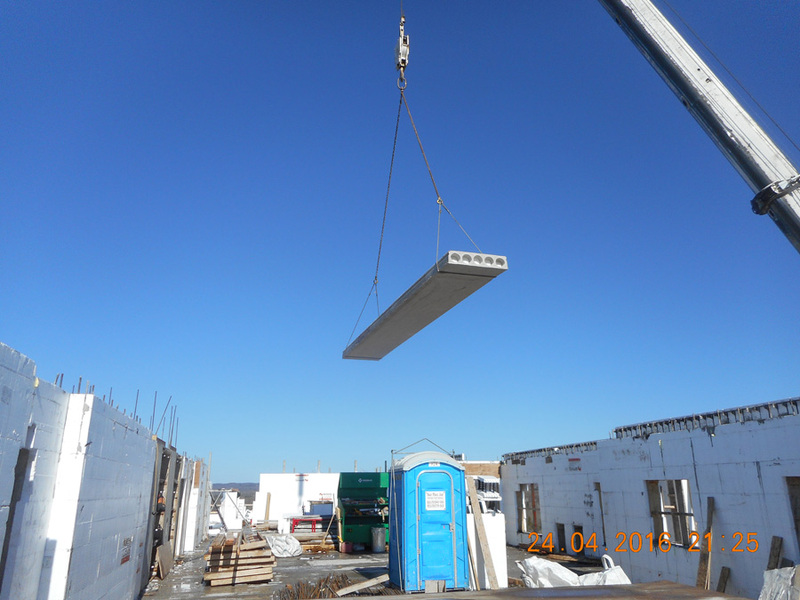 The first course of ICFs were laid the last week of November. Crews worked through the brutal Great Lakes winter, with wind exposure increasing as the floors went up. 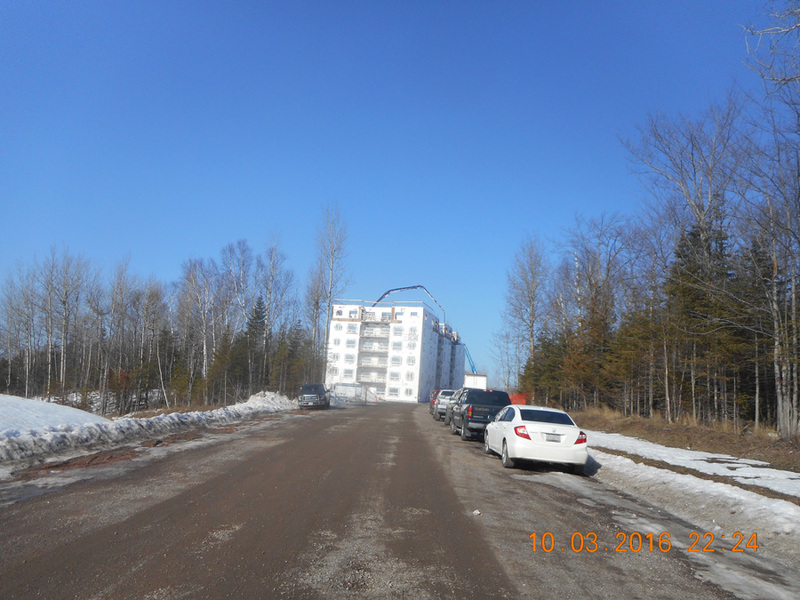 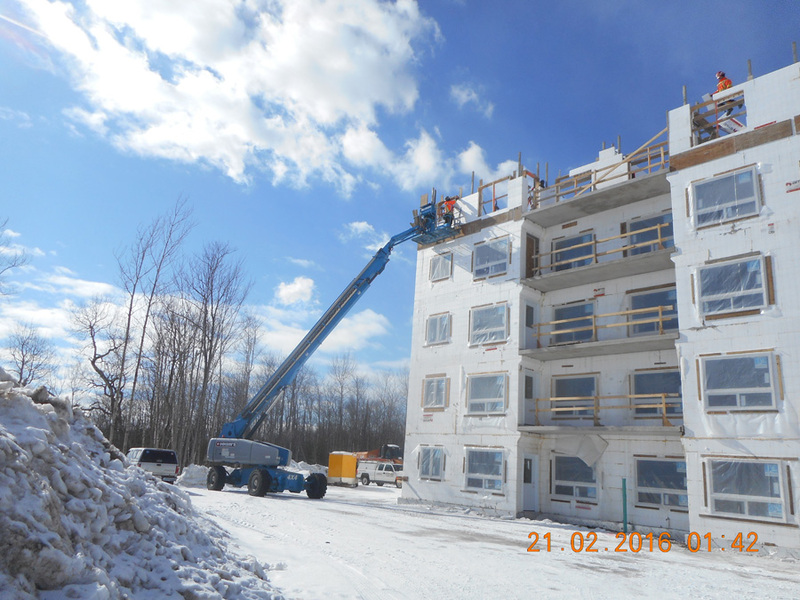 By January, they had finished stacking the third floor, and by the end of February, they’d finished the fifth. 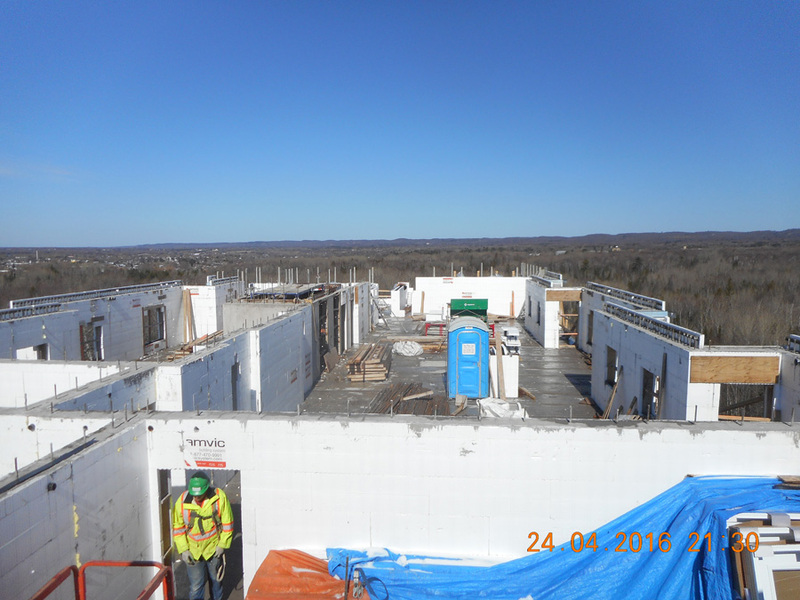 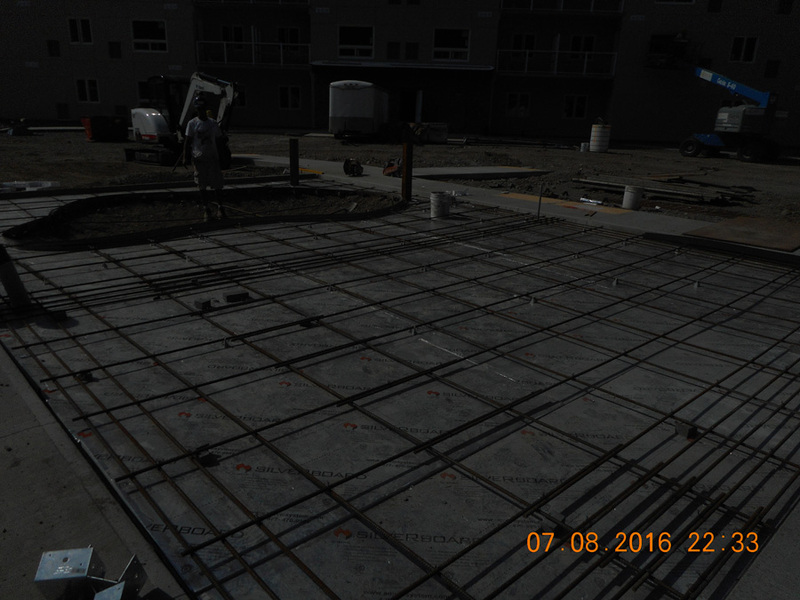 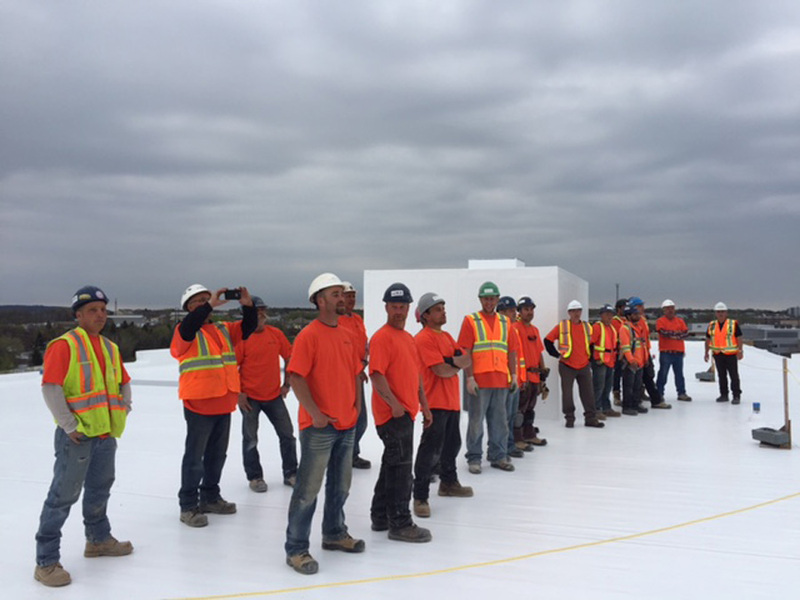 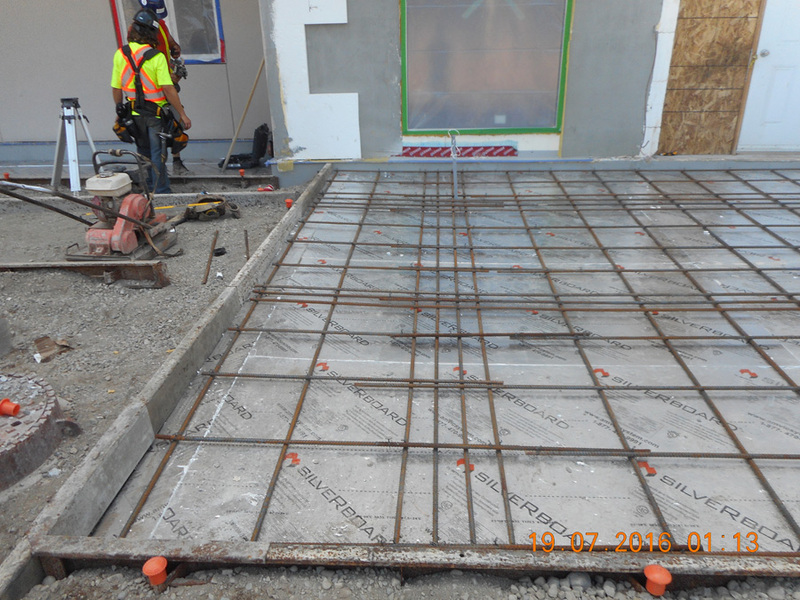 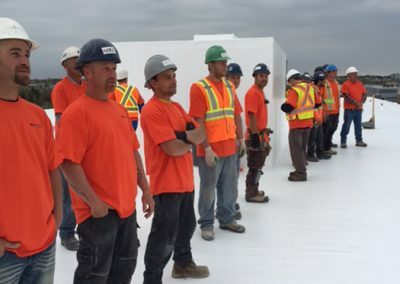 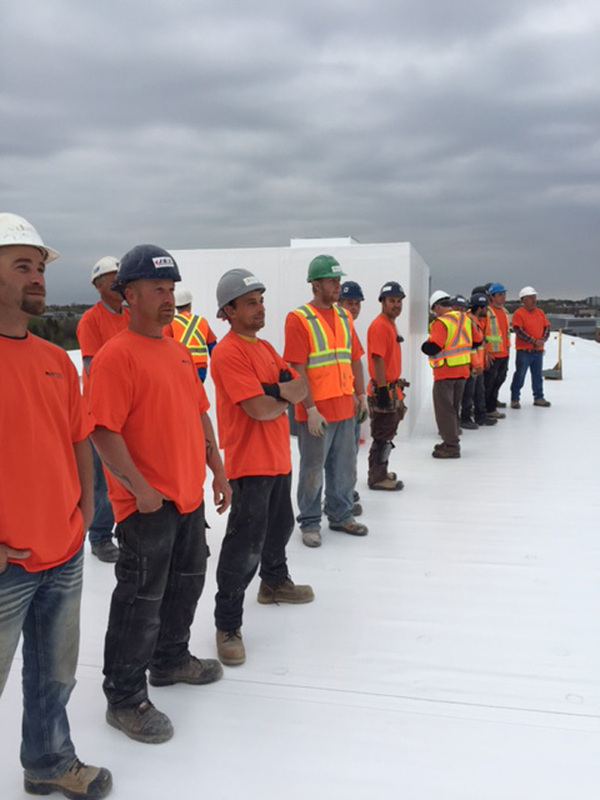 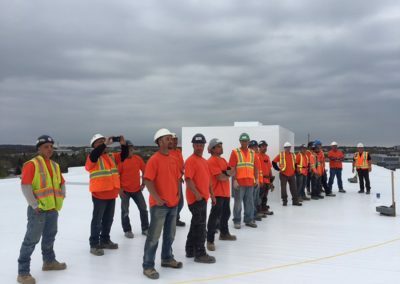 Crews capped the roof slab the first week of April. 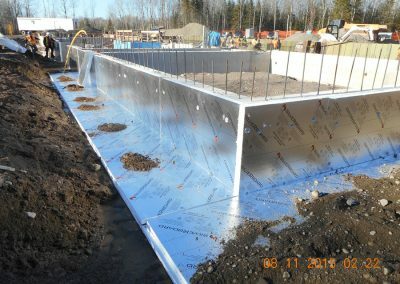 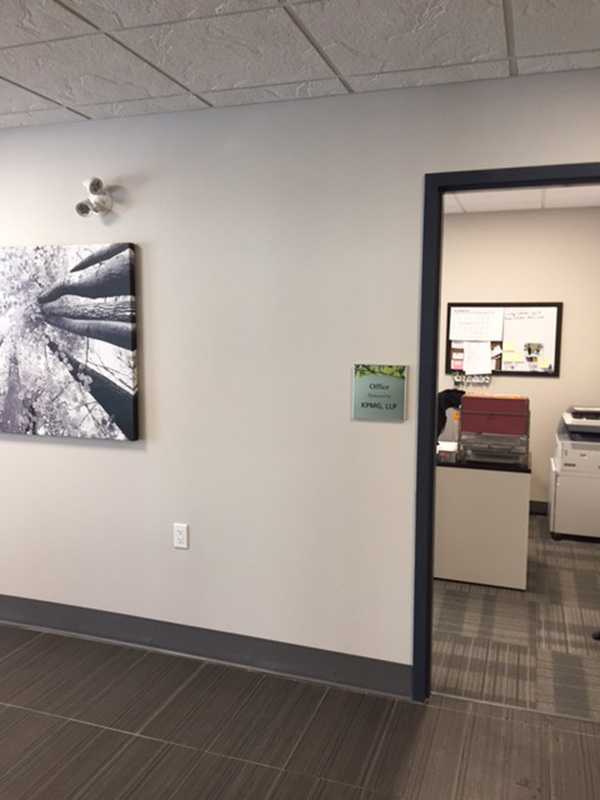 Biasucci says, “Amvic provided excellent technical support. 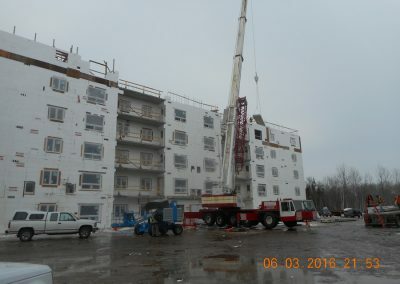 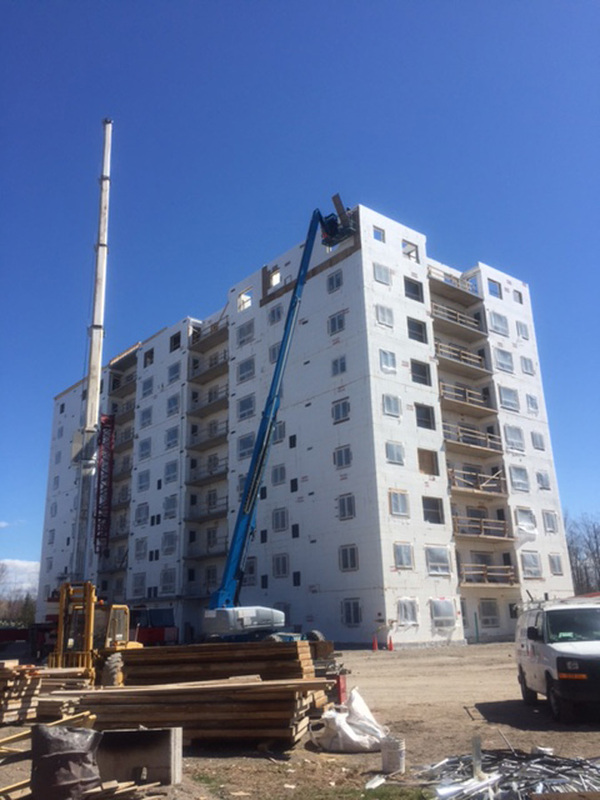 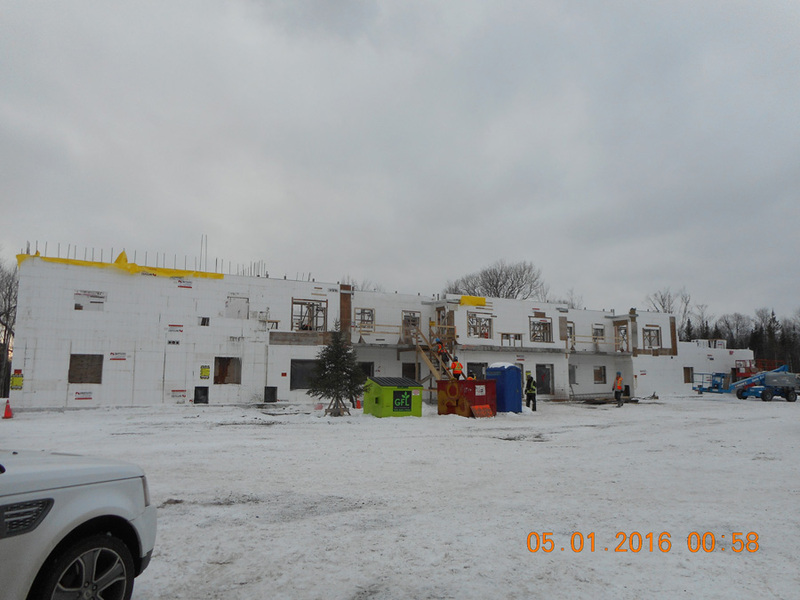 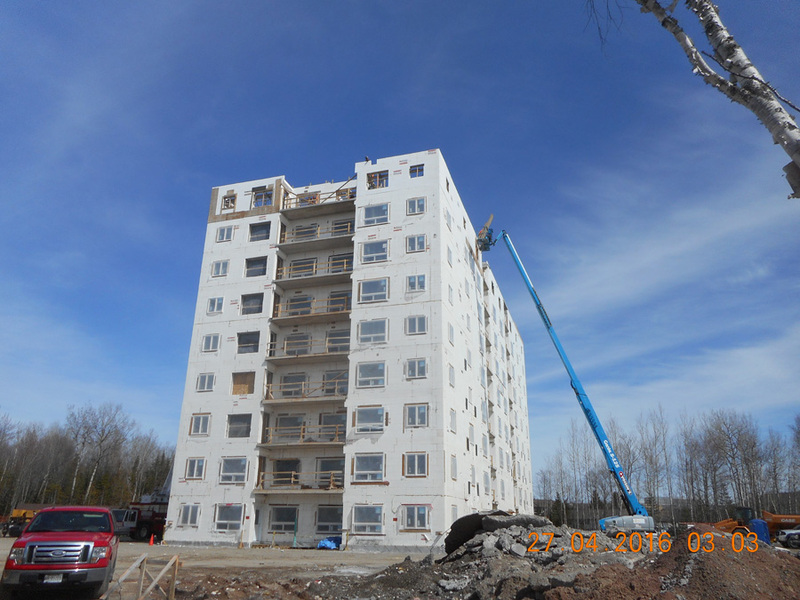 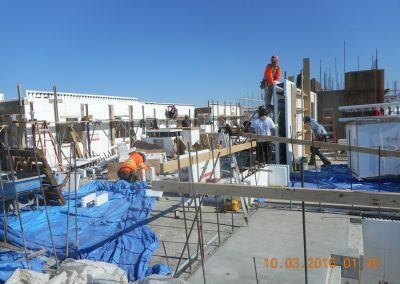 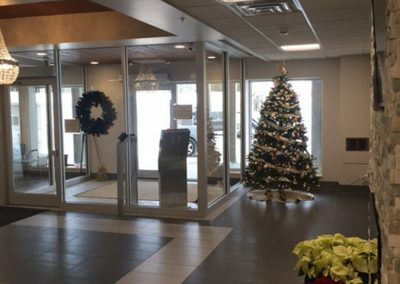 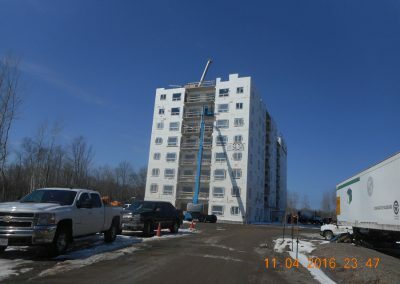 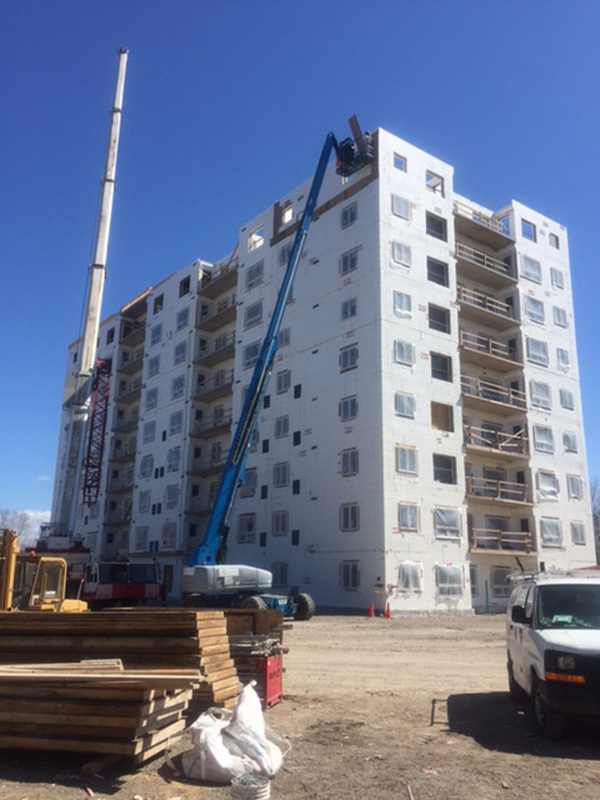 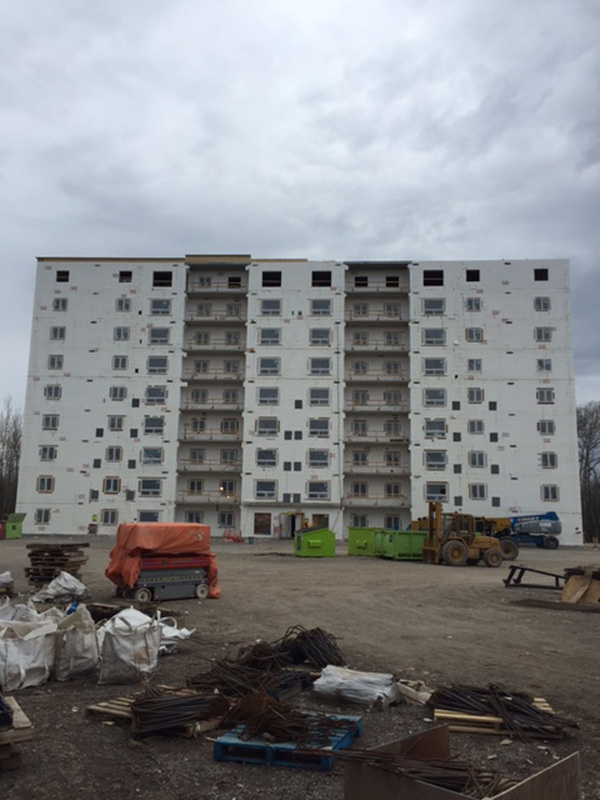 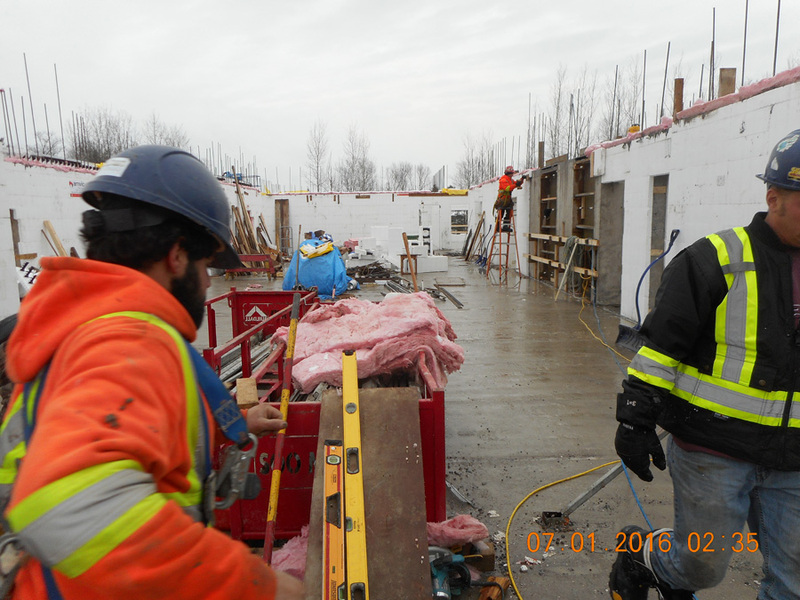 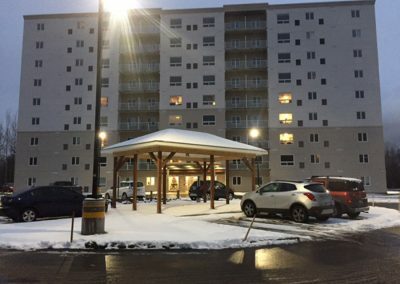 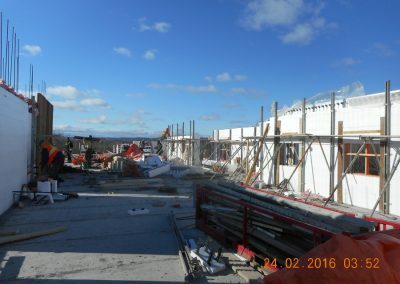 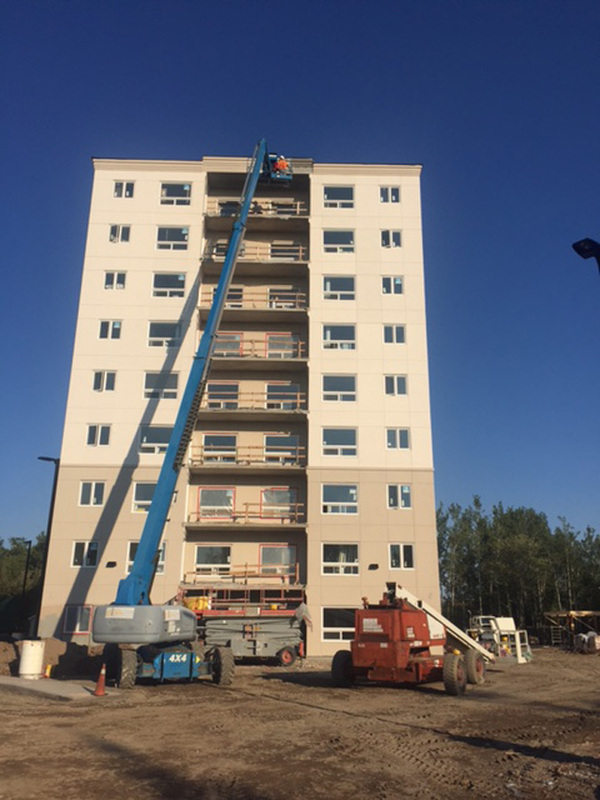 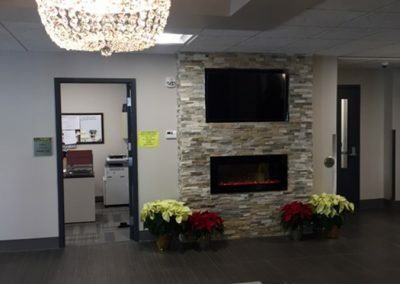 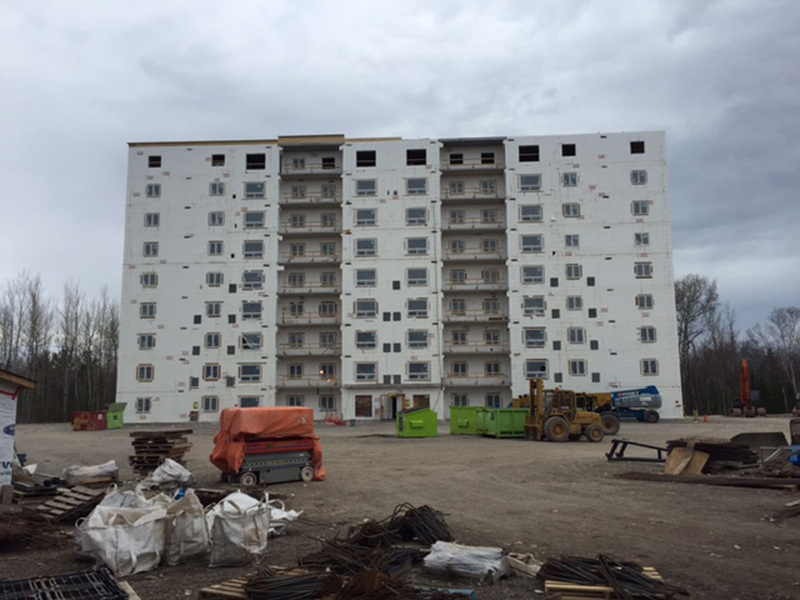 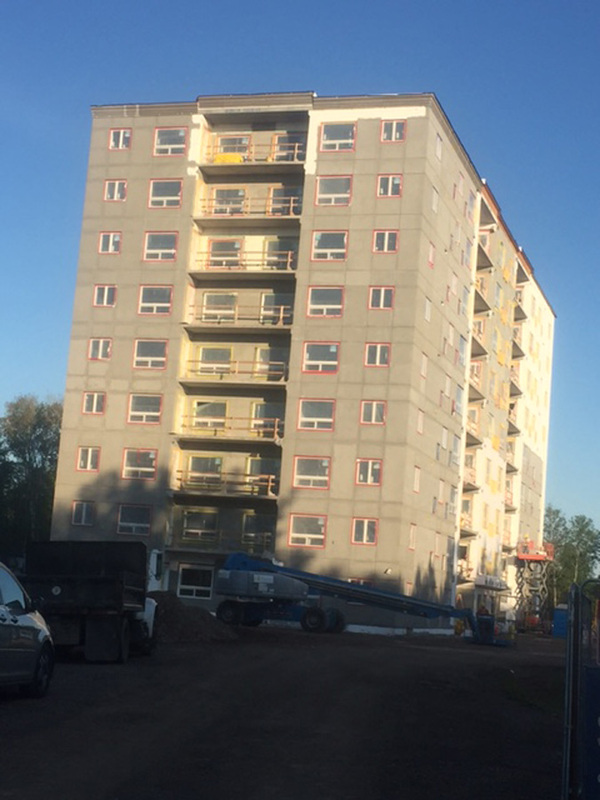 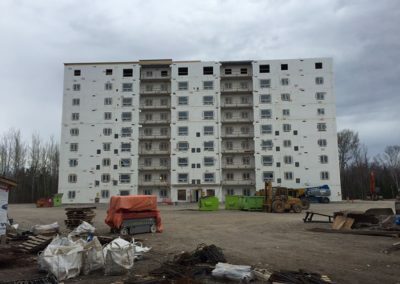 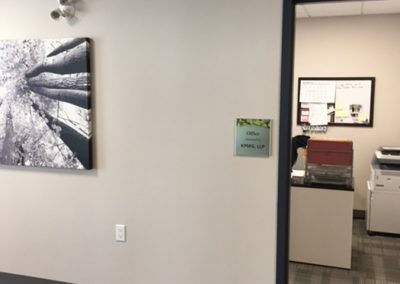 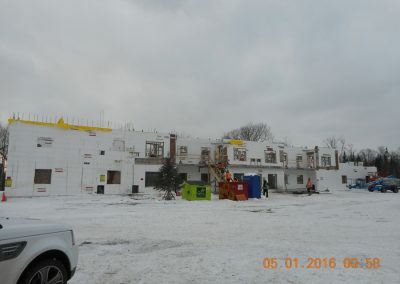 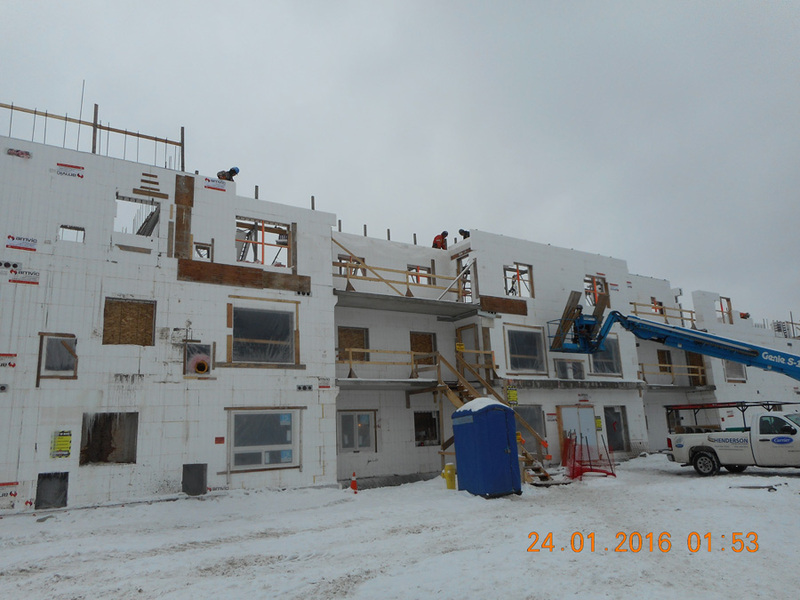 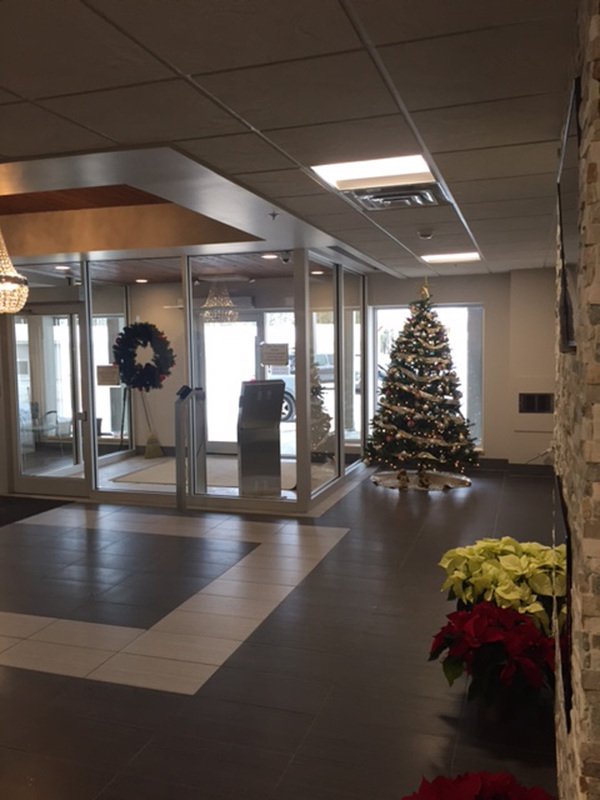 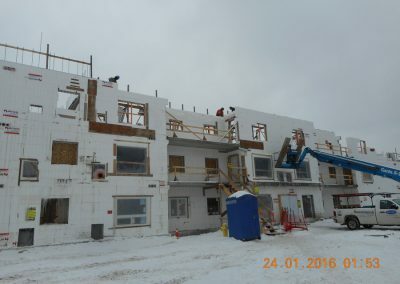 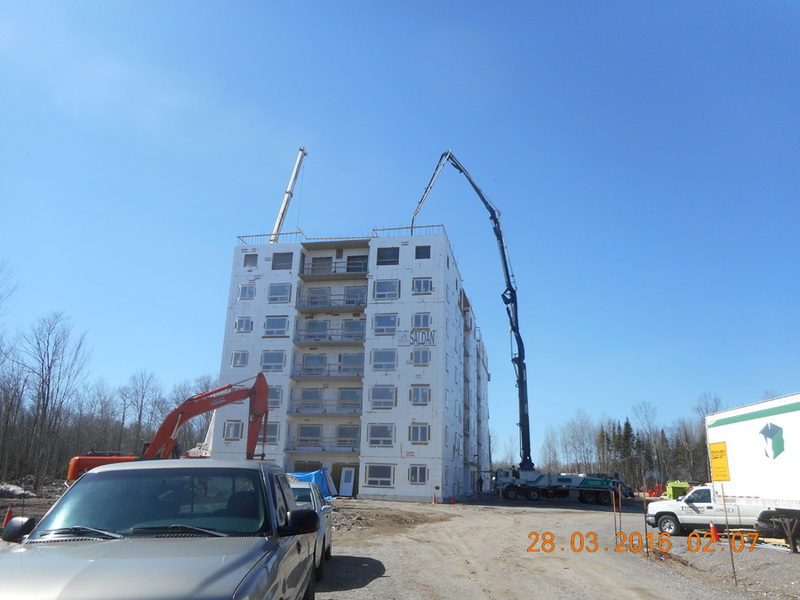 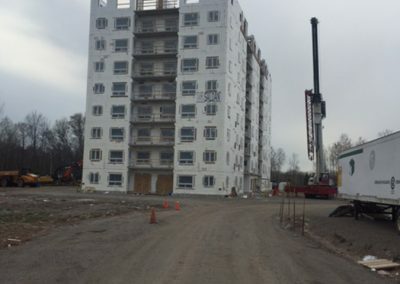 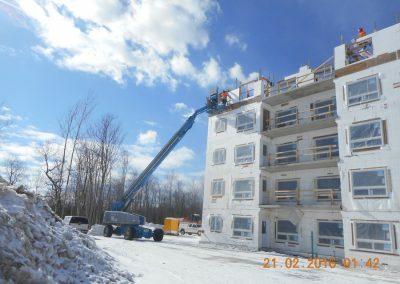 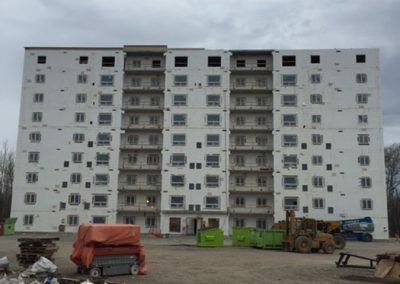 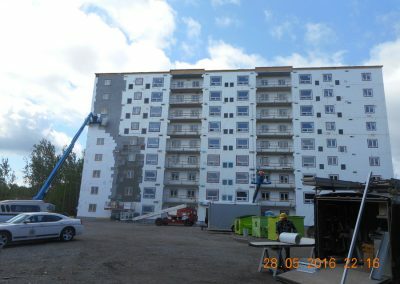 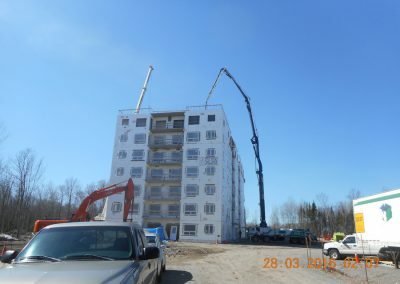 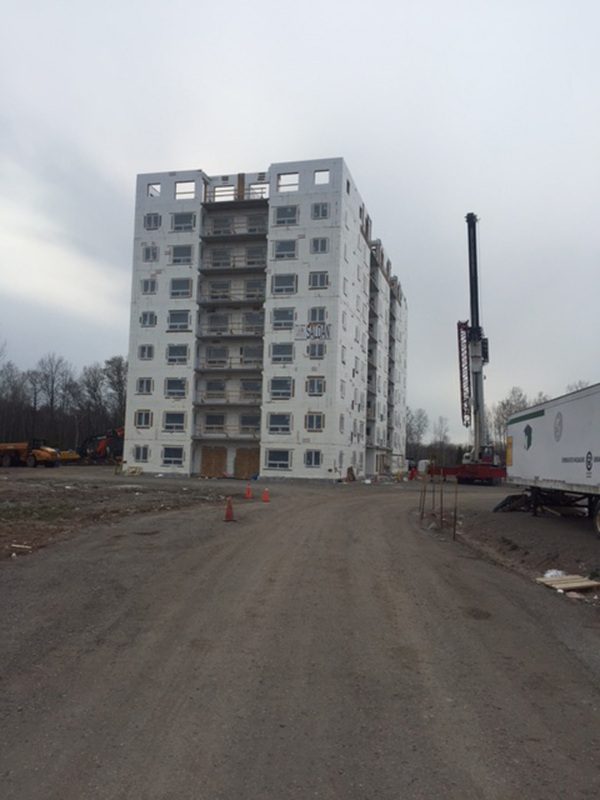 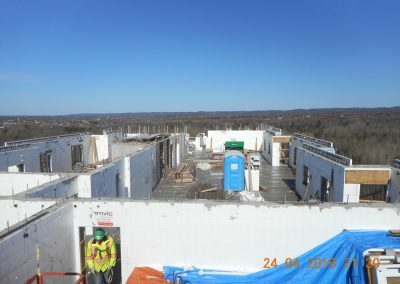 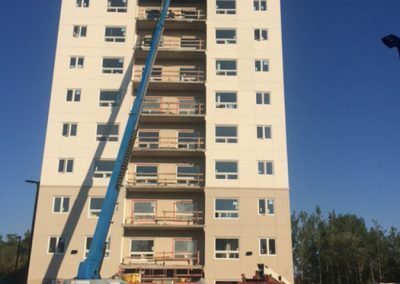 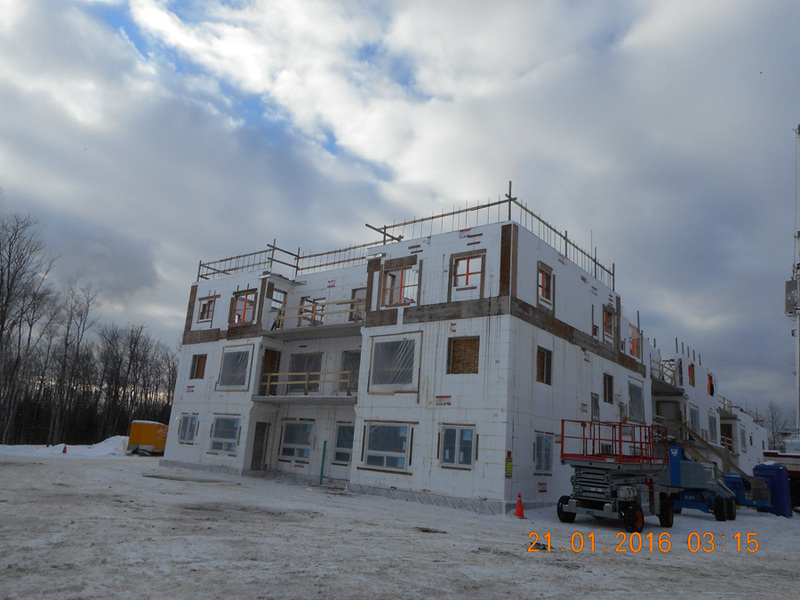 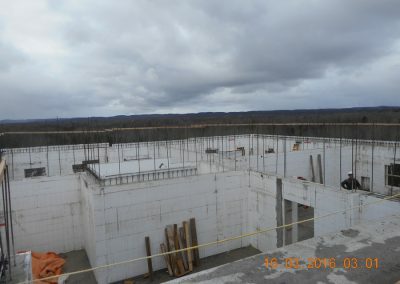 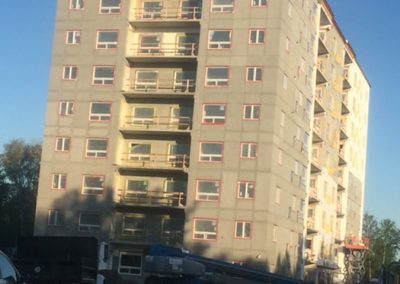 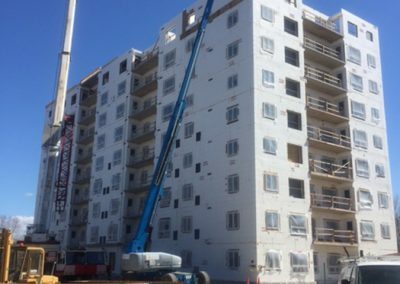 They ensured all product was on site to meet our tight schedule of one floor every two weeks.” The schedule is especially impressive considering that virtually every interior and exterior wall is ICF, and the project had more than 200 windows. 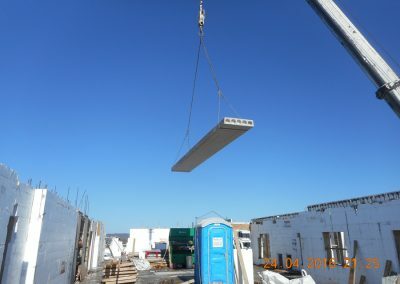 In total, the project used 46,500 sq. ft. of ICF for interior walls, plus the 65,000 sq. 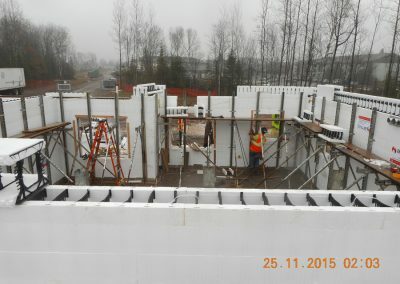 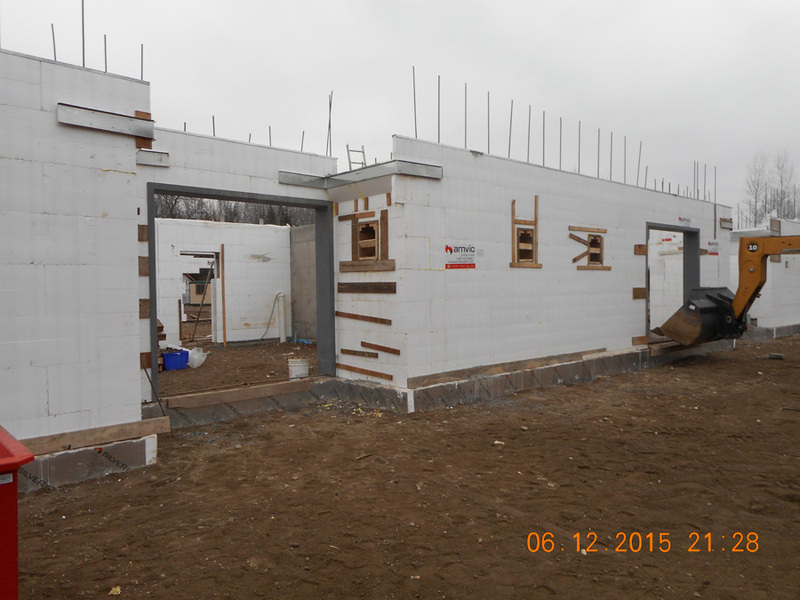 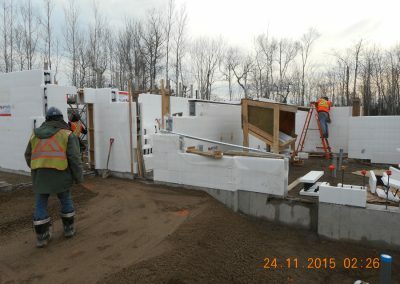 ft. of exterior ICF walls. 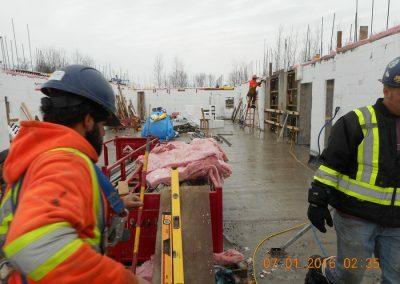 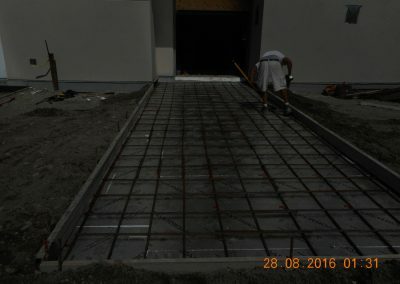 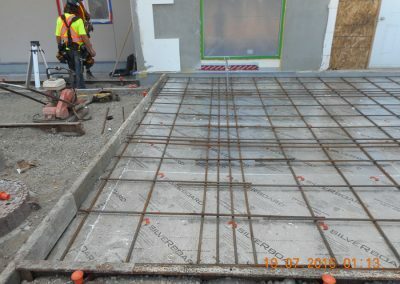 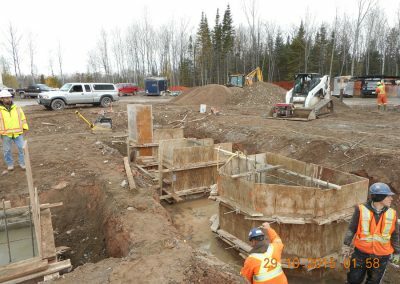 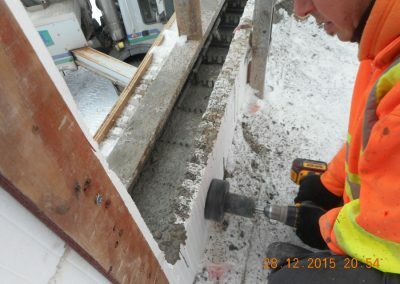 The long-term relationship with the batch plant paid off as they delivered perfectly timed concrete, preheated and ready to pour in the sub-freezing temperatures. 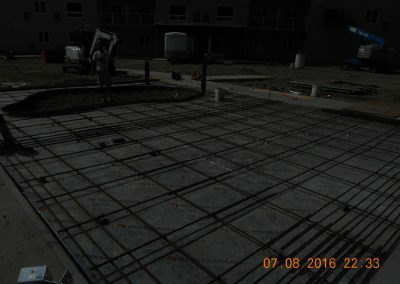 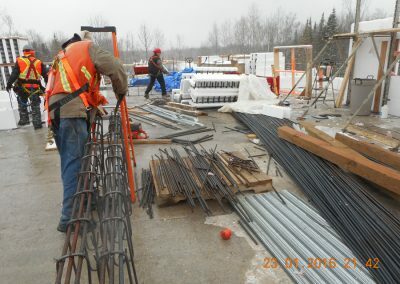 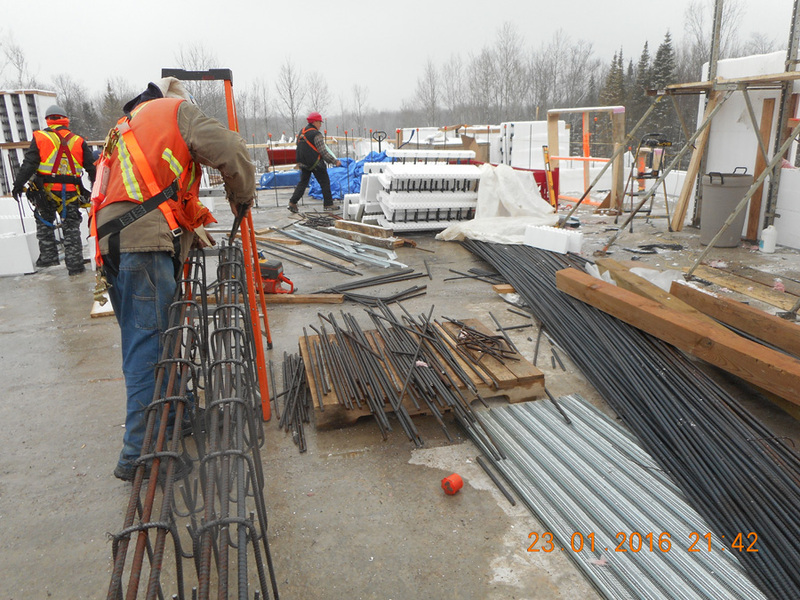 On a few pours, temperatures were so far below freezing that the rebar was pre-heated. 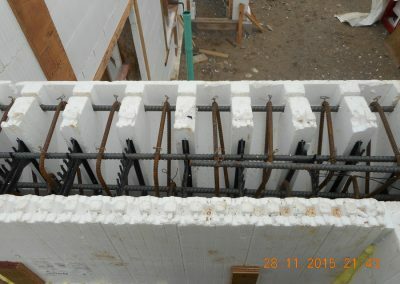 Once in the forms, the foam keeps the concrete insulated. 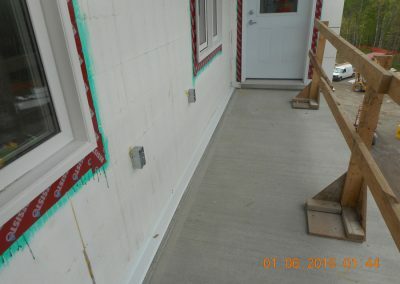 Fiberglass batts taped over the tops of the walls were the only additional step needed to keep the concrete at temperature until fully cured. 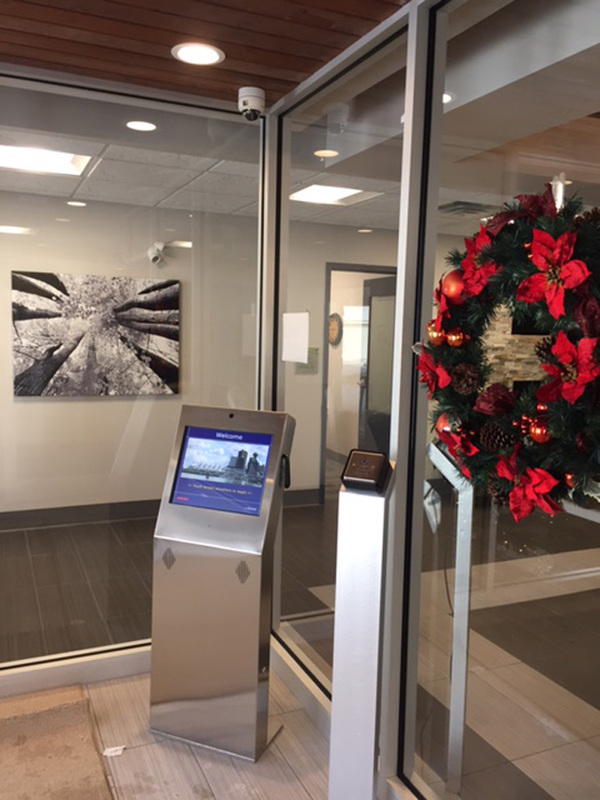 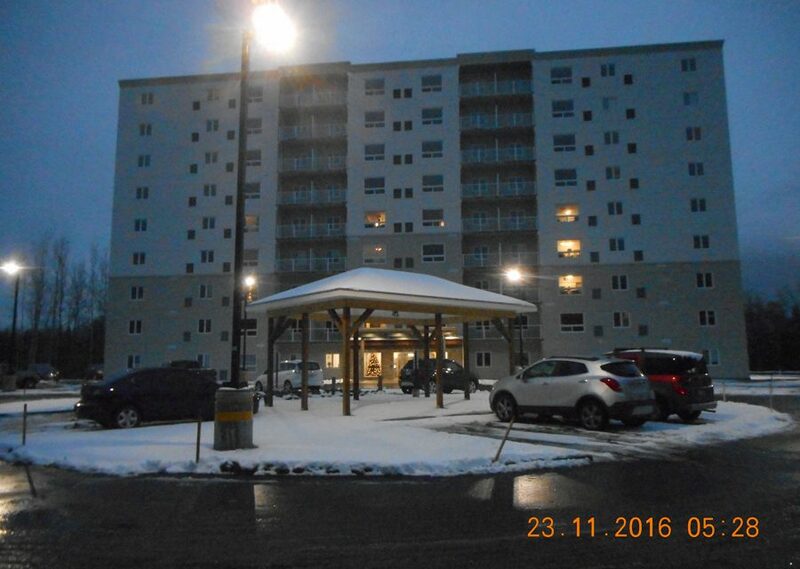 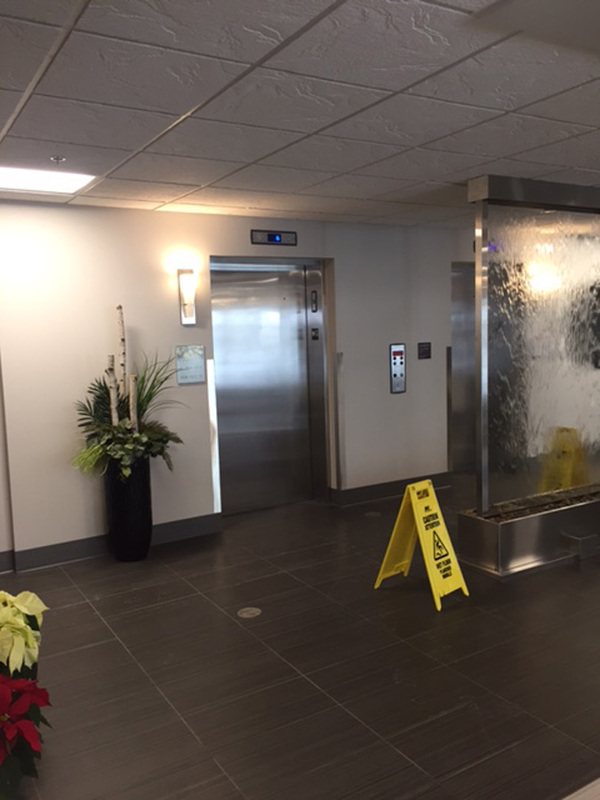 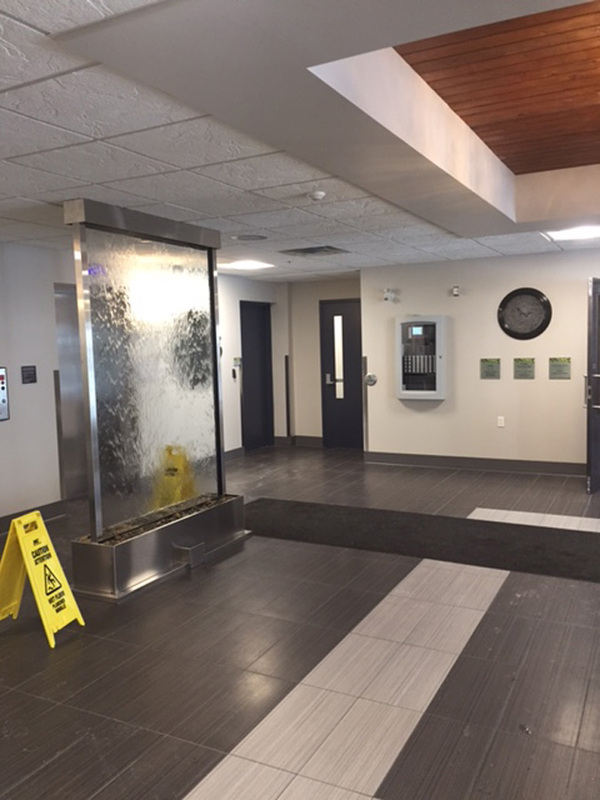 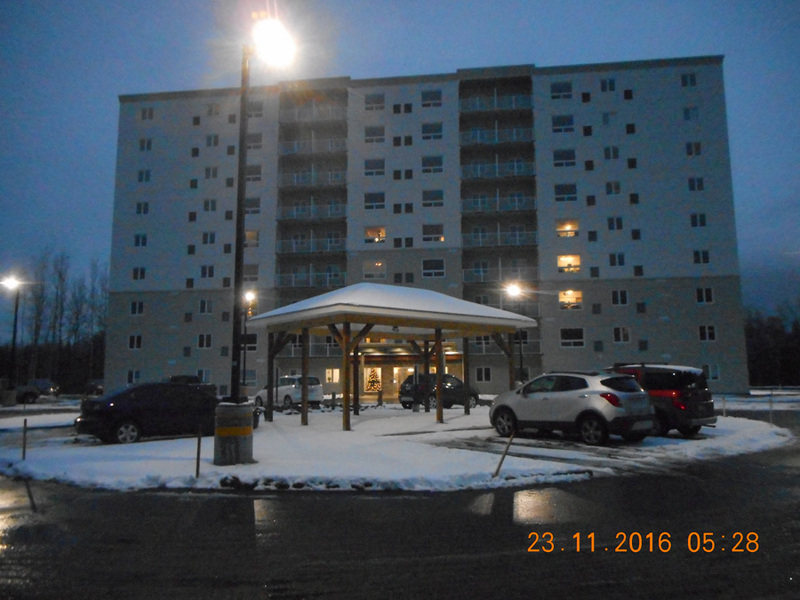 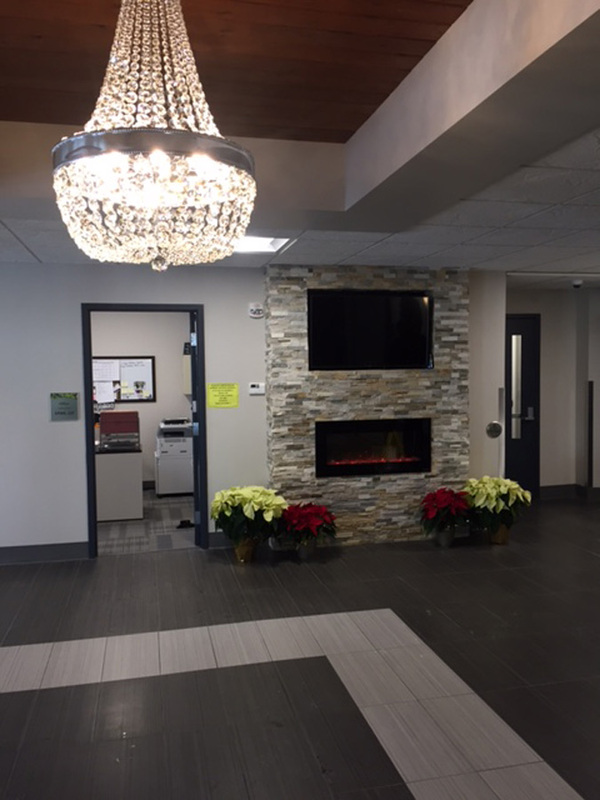 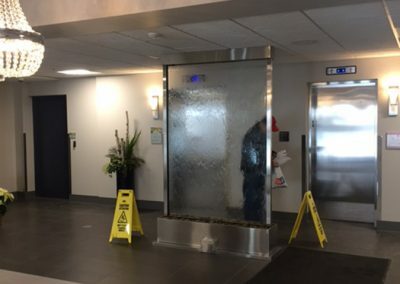 Despite the winter construction conditions, the project was completed on schedule, 51 weeks after breaking ground. 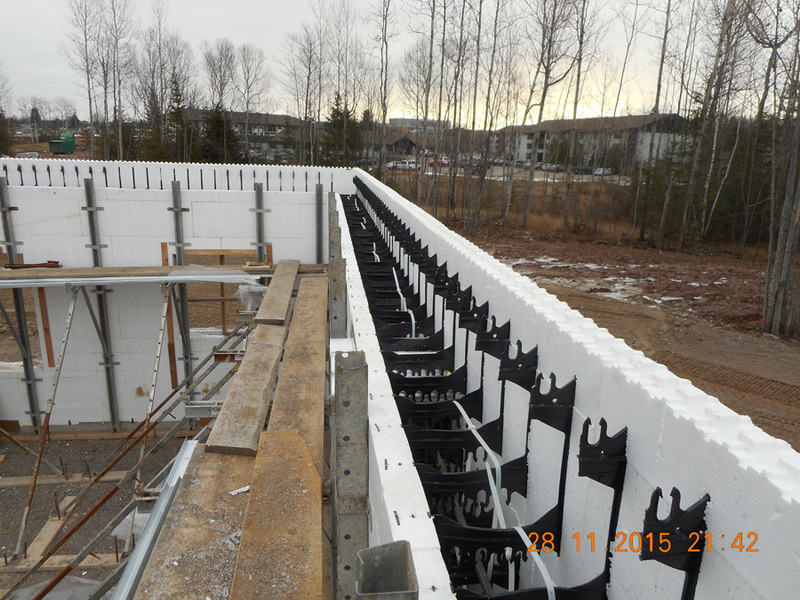 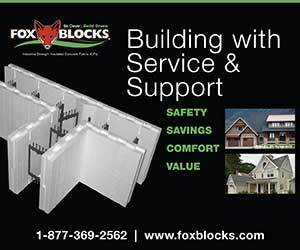 Biasucci estimated ICFs created nine weeks of savings compared to alternative materials. 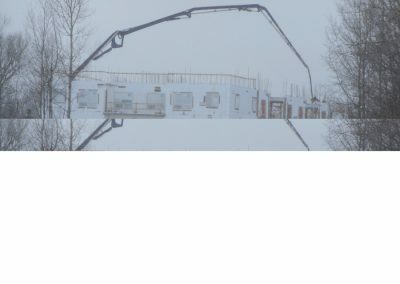 It came in nearly half a million dollars under budget. 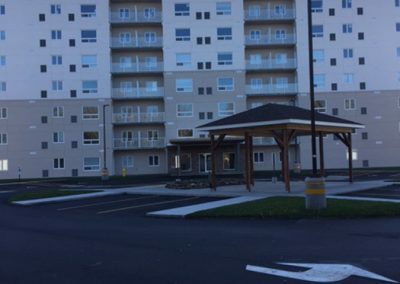 The $400,000 contingency fund was used to develop 36 detached garages and other amenities. 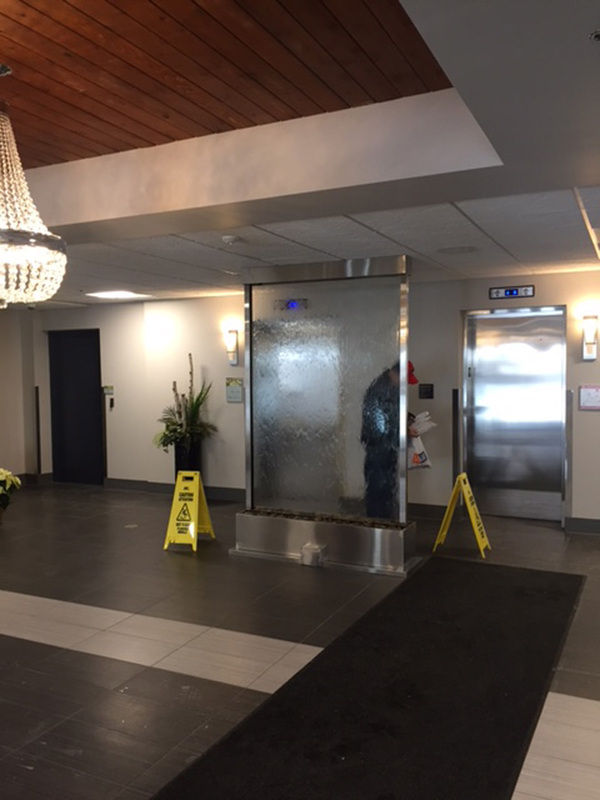 In a nod to the building’s Finnish heritage, it has a sizable tub and sauna room, along with therapy space, a gym, carpentry shop, library, arts and crafts room, and even a short term guest rental suite. 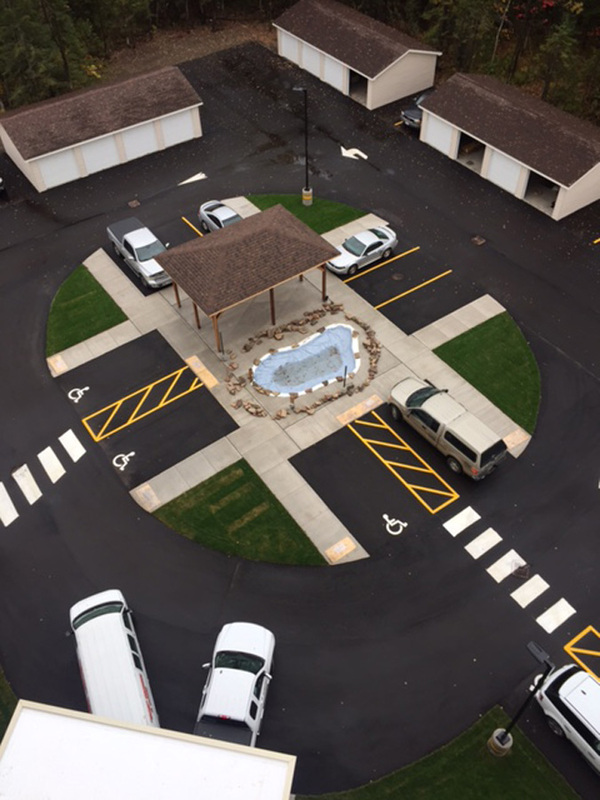 Outside, there are two gazebos for family gatherings, multiple BBQ facilities, playgrounds, raised garden beds, and game spaces. 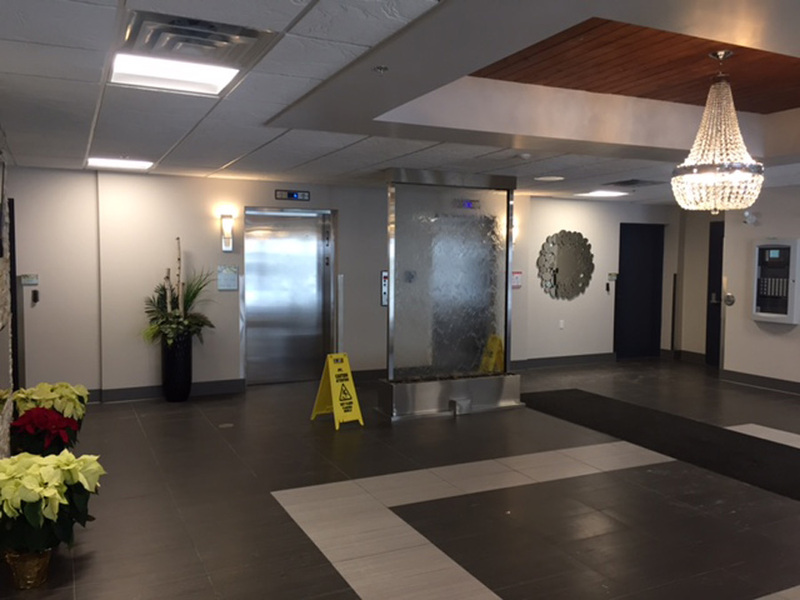 Shopping, restaurants and public transit are within 10 minutes of the building. 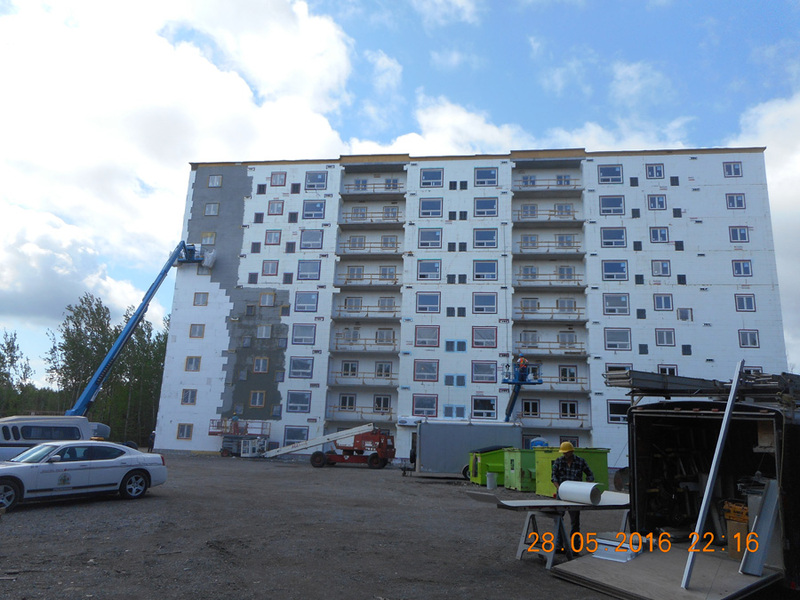 As the first ICF high-rise in the city, Uusi Koti generated significant attention, especially professional designers and the municipal building department. 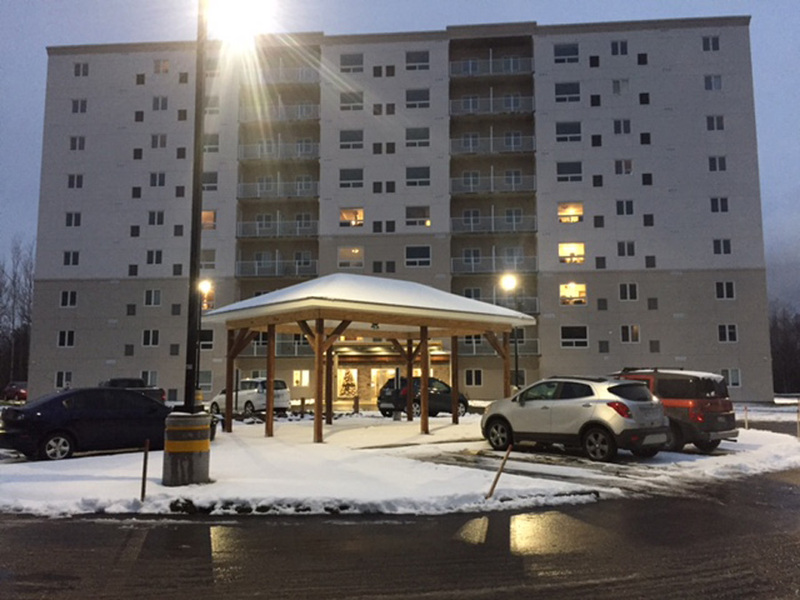 The owners gambled on SalDan’s energy estimates, and chose an “all-inclusive” rent package, with utility costs picked up by the landlord. 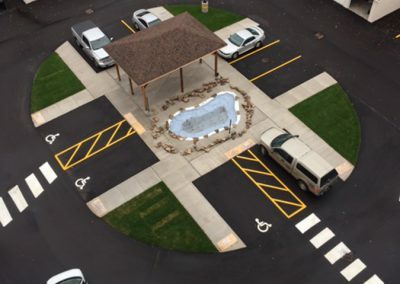 It’s the first such arrangement in the city, and proved to be extremely popular. 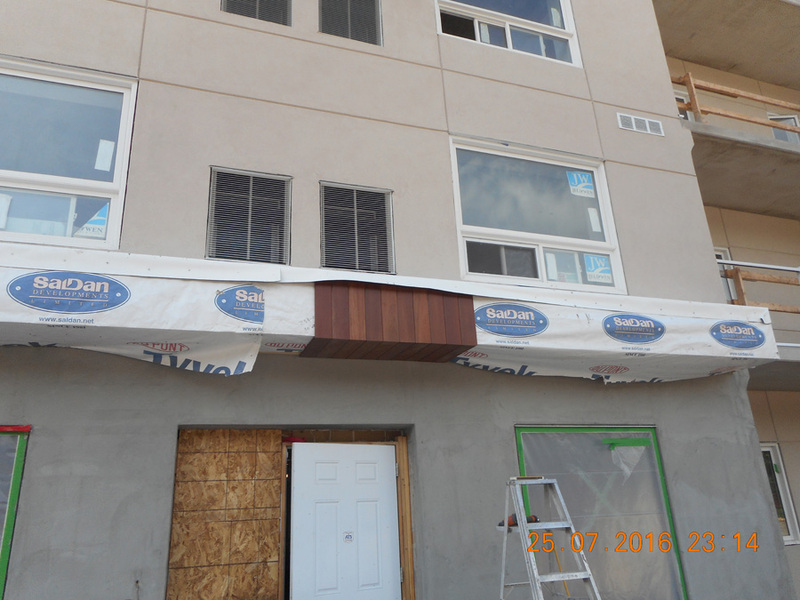 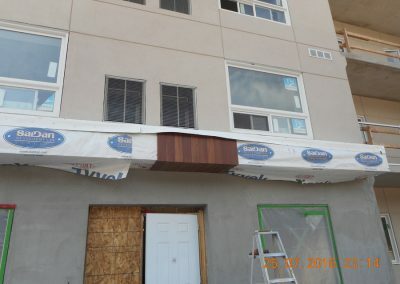 Biasucci says, “They were able to rent out all 87 units in only seven days. 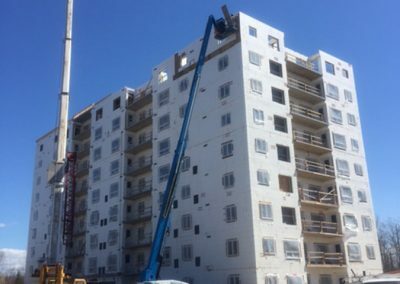 It’s still the talk of the town.” The project is so successful that SalDan is contemplating three more buildings on the same concept. 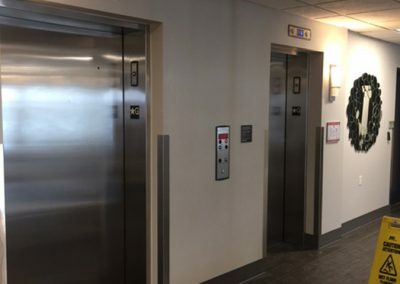 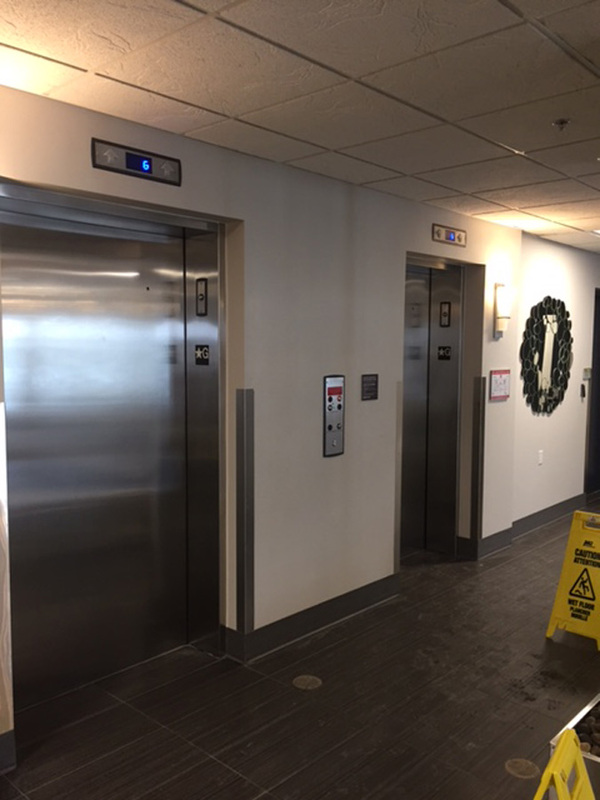 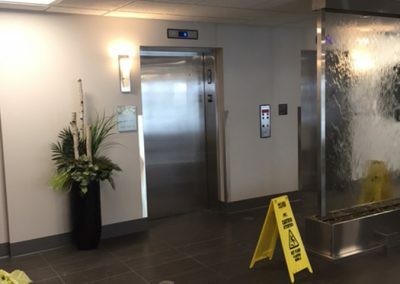 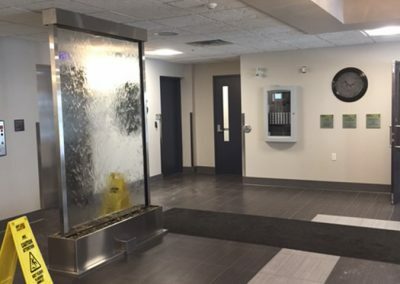 Now that the building has been in use for about two years, actual energy consumption has proven to be less than half of projected, and each unit has an STC (sound transmission) rating greater than 65. 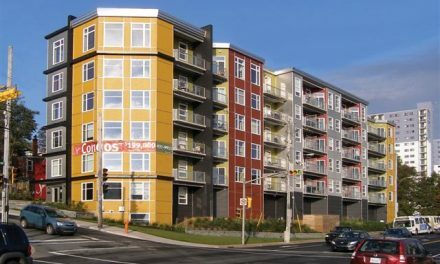 Uusi Koti was awarded Best Multifamily Project at the 2018 ICF Builder Awards. 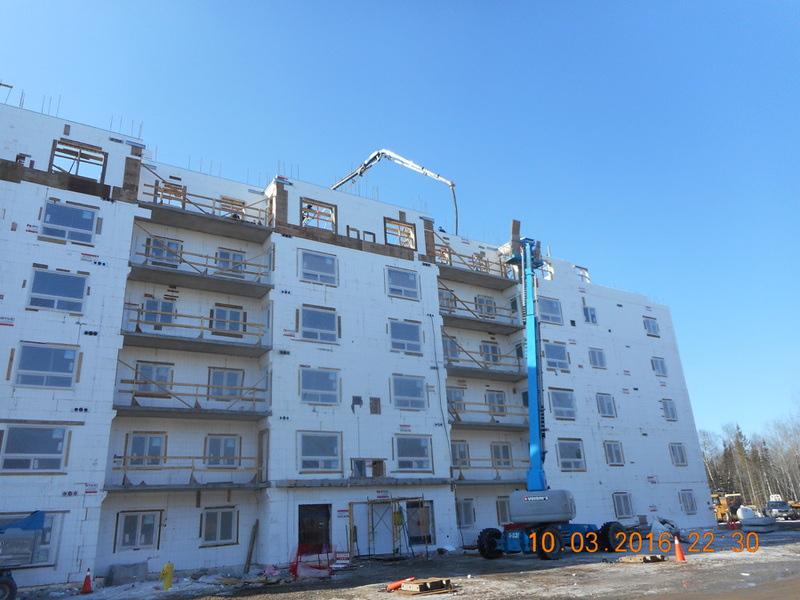 ICF Use: 143,500 sq. ft.